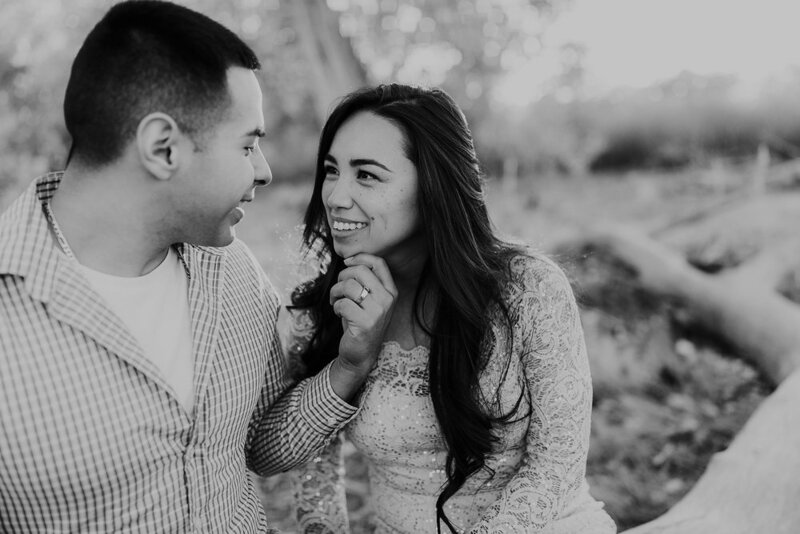 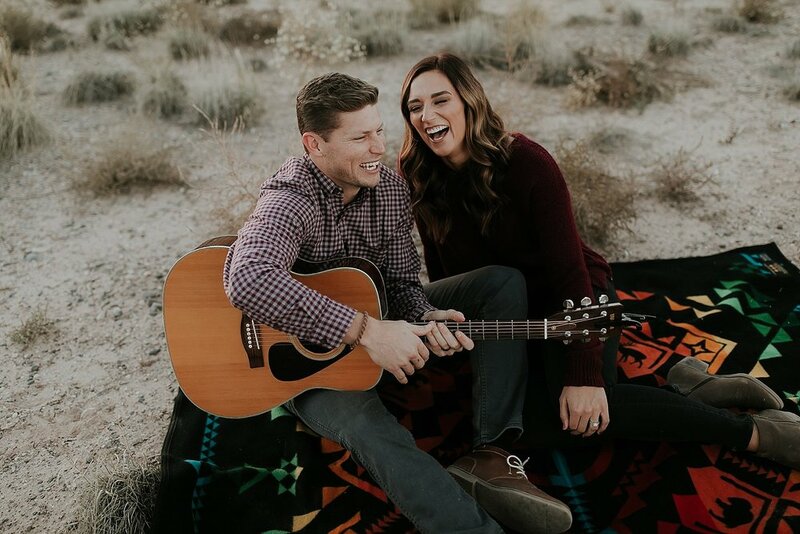 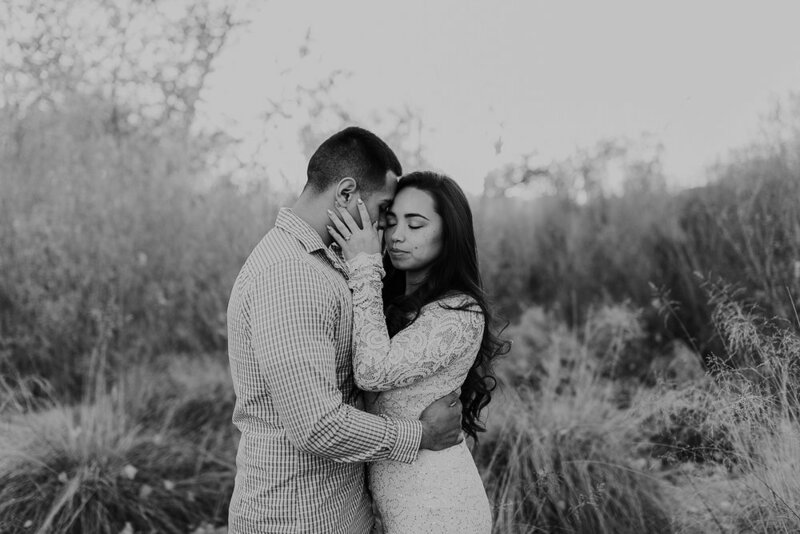 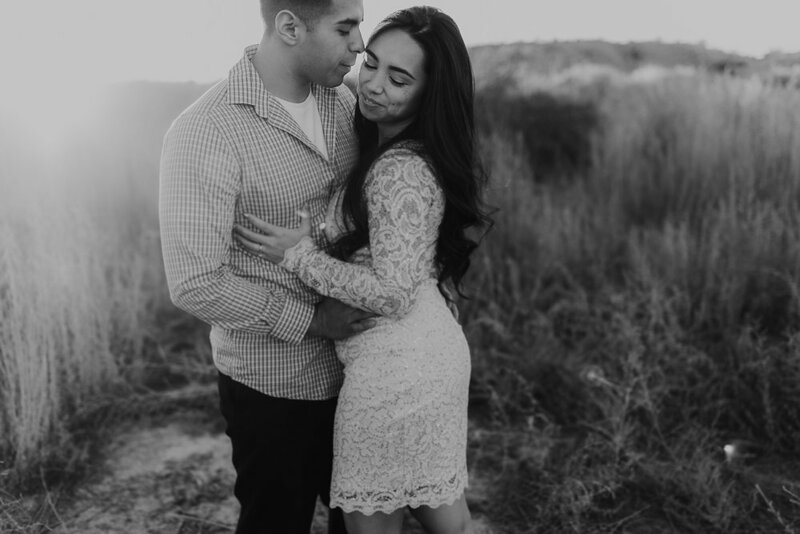 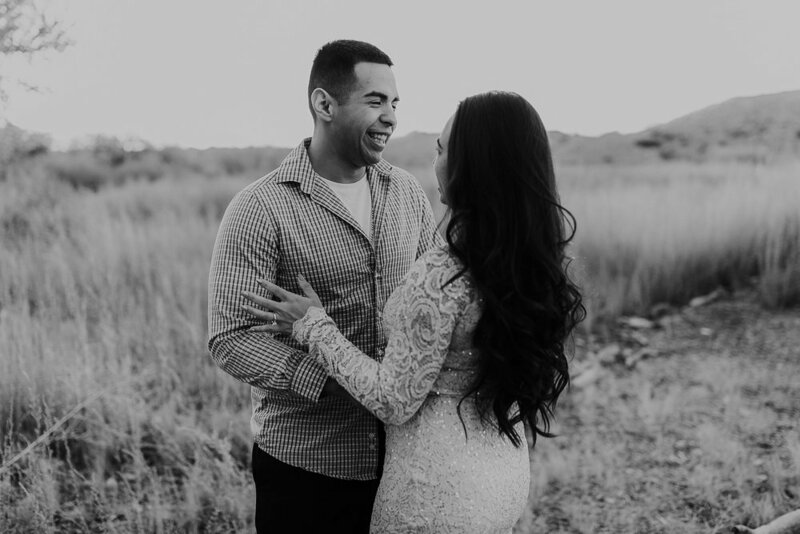 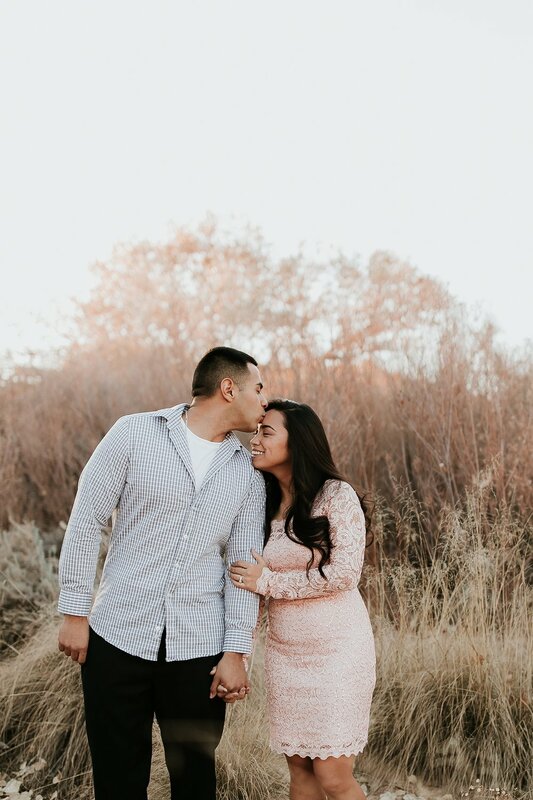 Rigo and Maria tied the knot in March, but we couldn't help posting their sweet engagement from late 2017! 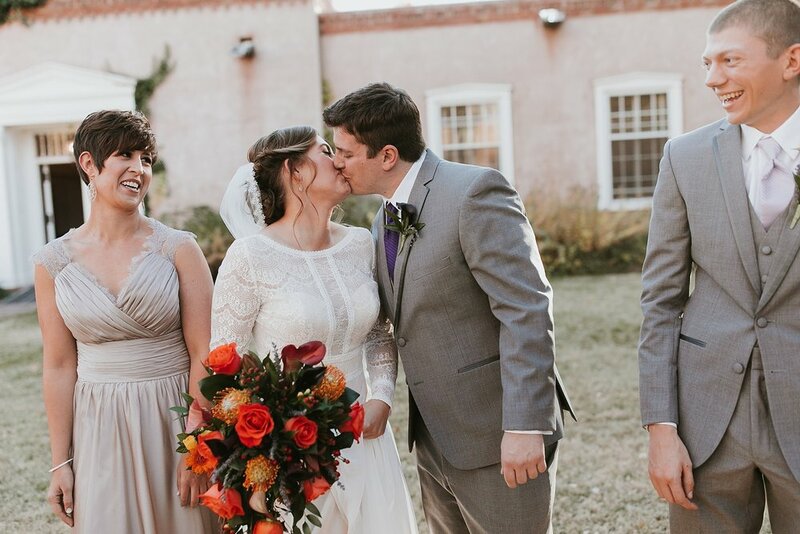 Being huge fans of Pixar's film Up, they incorporated a ton of amazing little details into their wedding day. 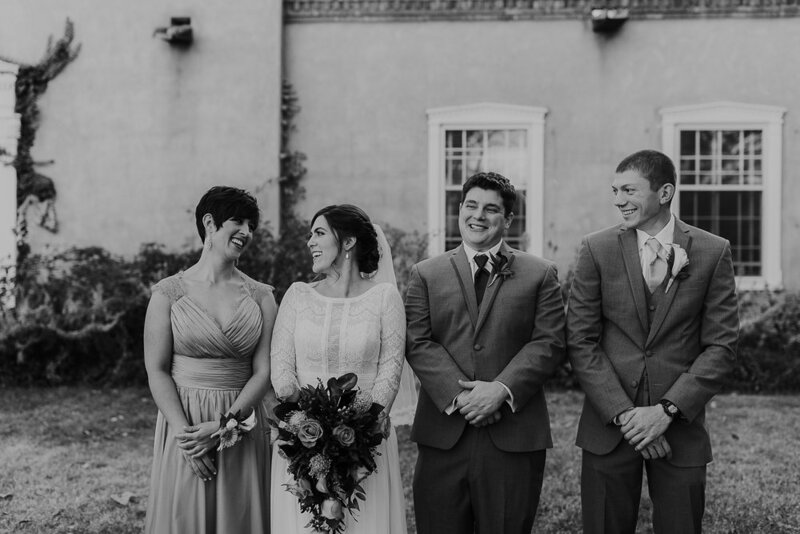 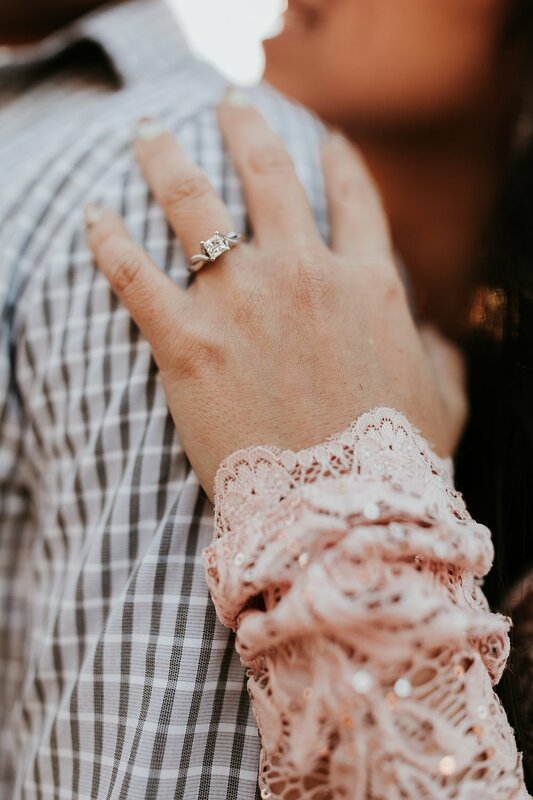 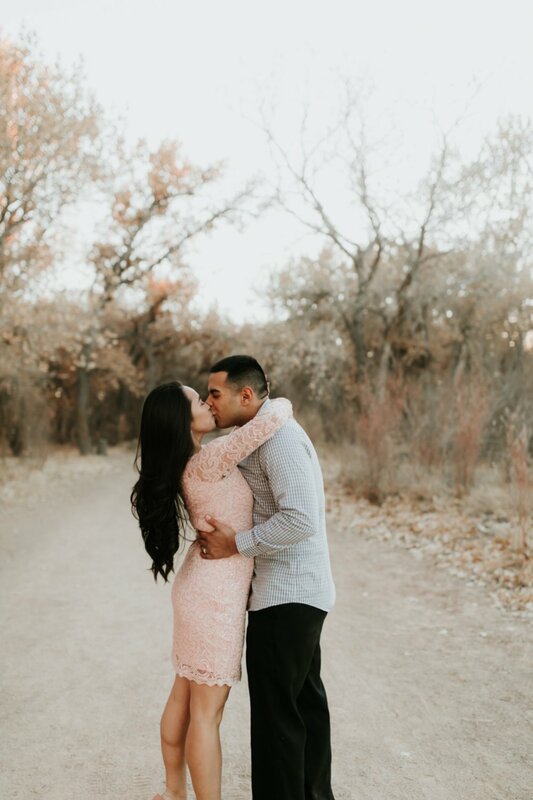 We can't wait to share their soft, elegant wedding soon! 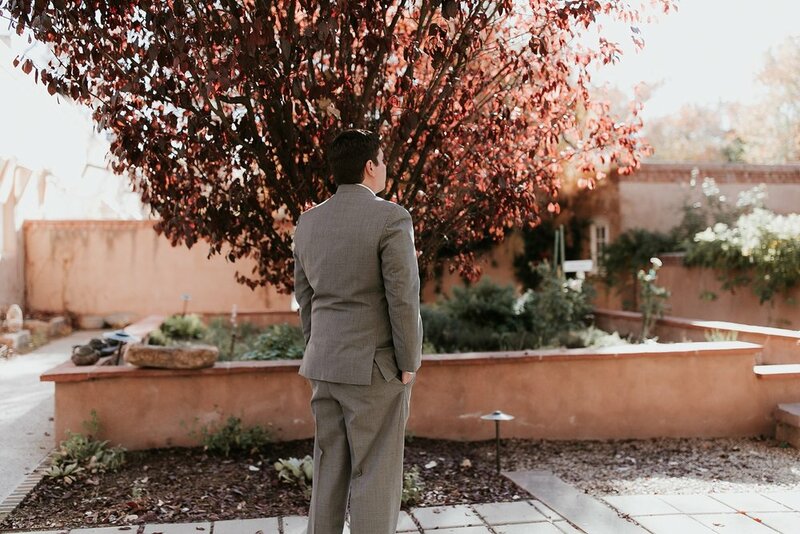 On a chilly December weekend in Santa Fe, we were beyond honored to be a part of Alex and Marcela's three day wedding soirée. 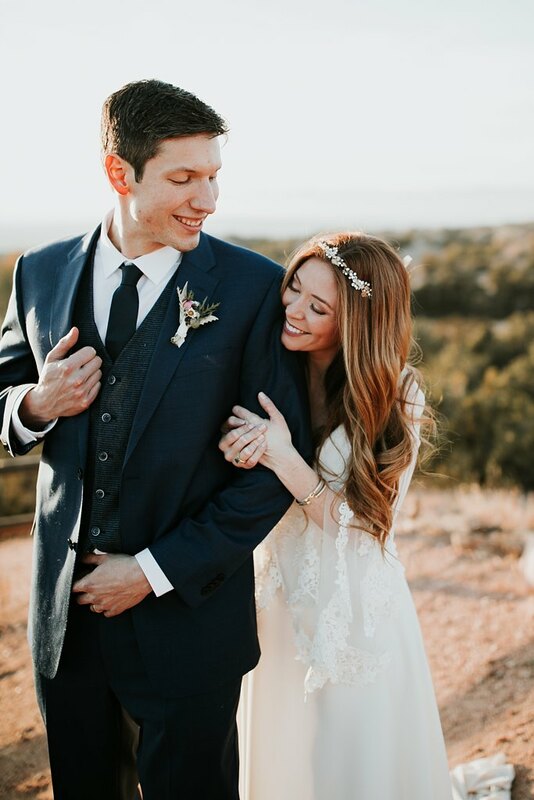 With a ton of magic from the ever talented Jessie Baca, this couple hosted not only an incredibly boho chic wedding at Four Seasons Santa Fe, but they also had an intimate bridal dinner adorned with watercolor signage and delicate butterfly details at El Nido and a fun rehearsal dinner at The Cowgirl, making their wedding the ultimate celebration of Santa Fe Culture and cuisine! 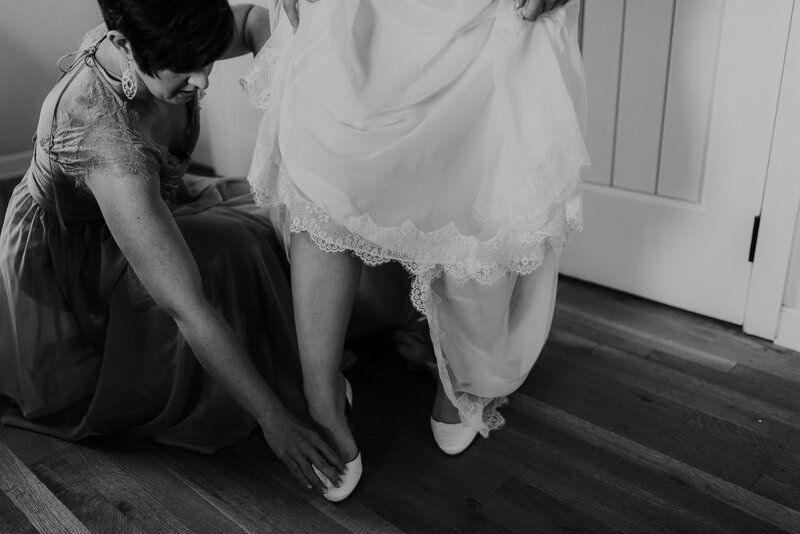 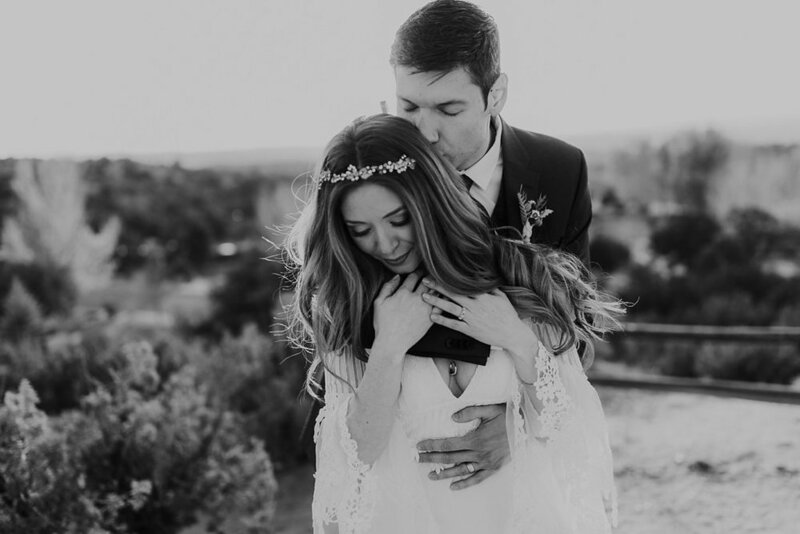 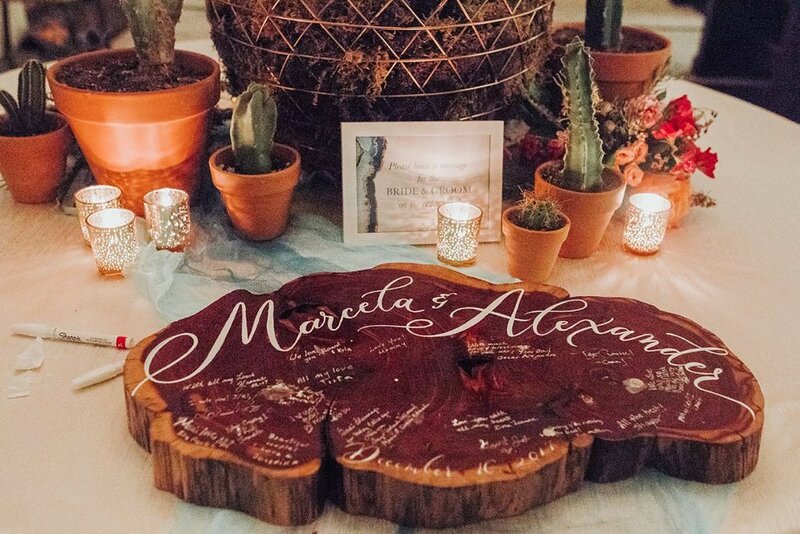 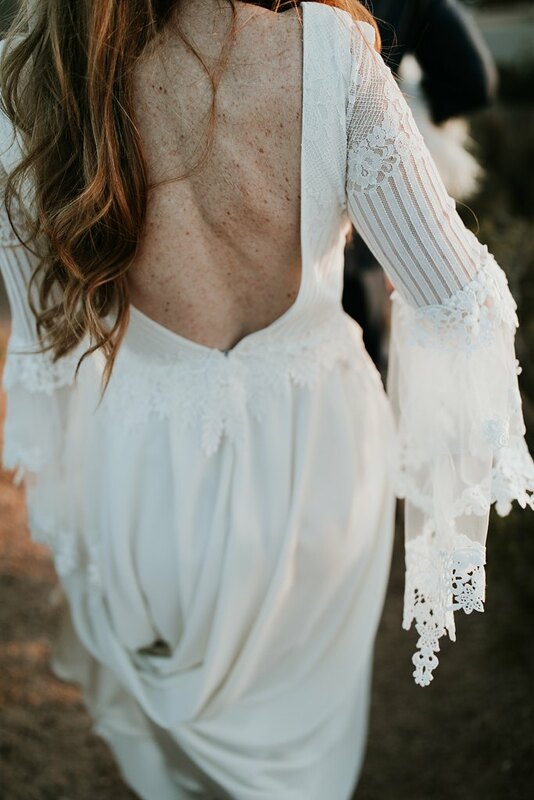 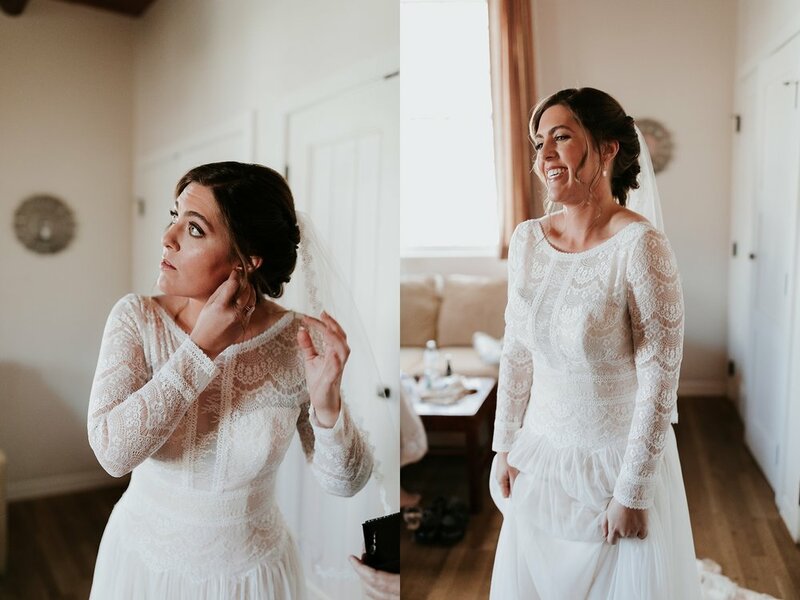 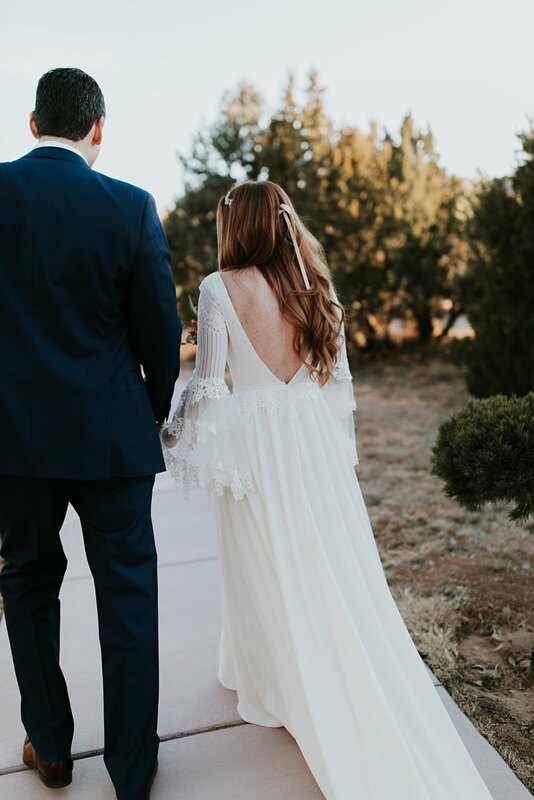 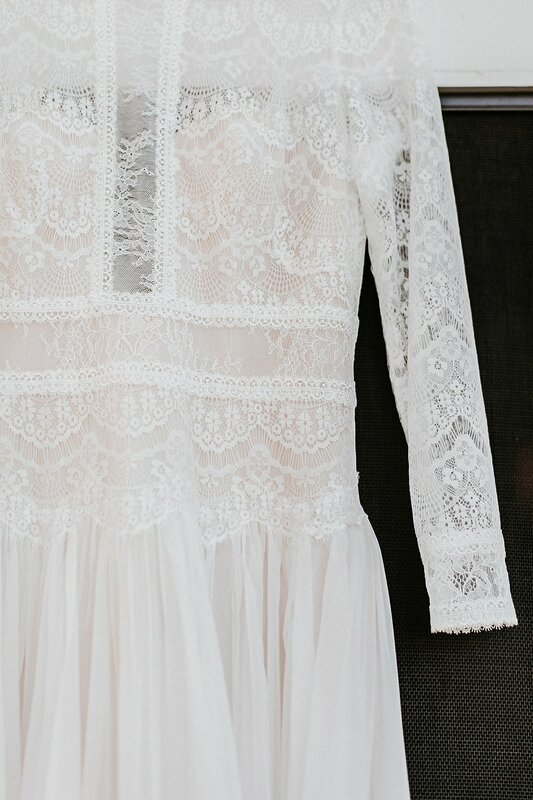 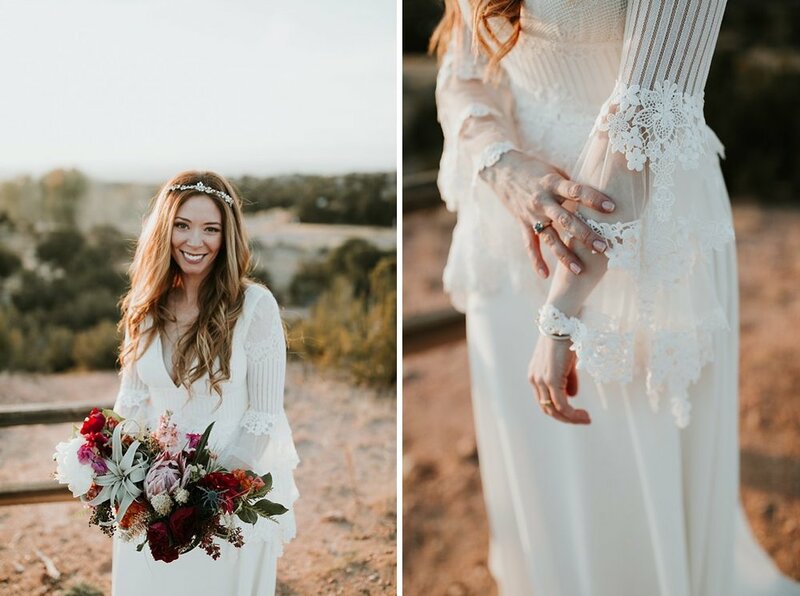 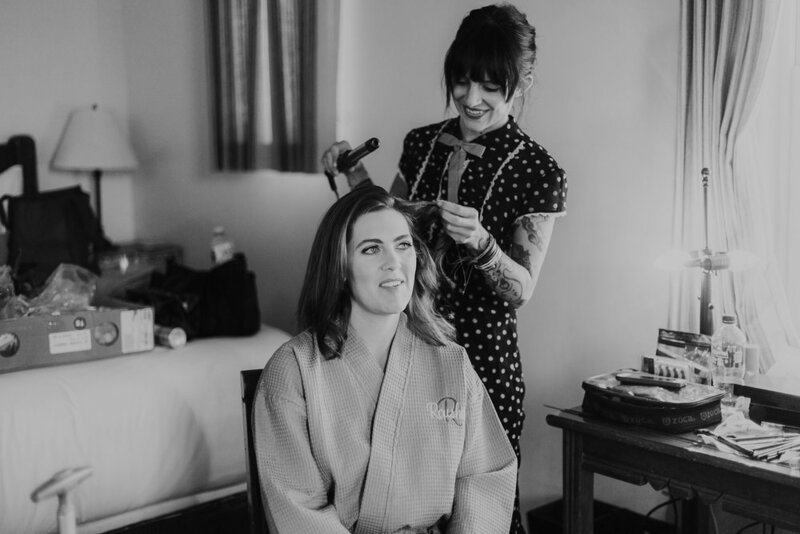 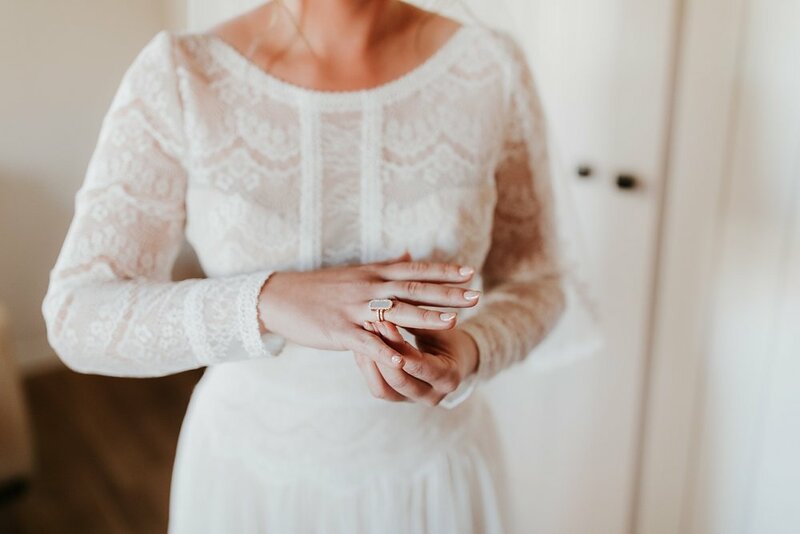 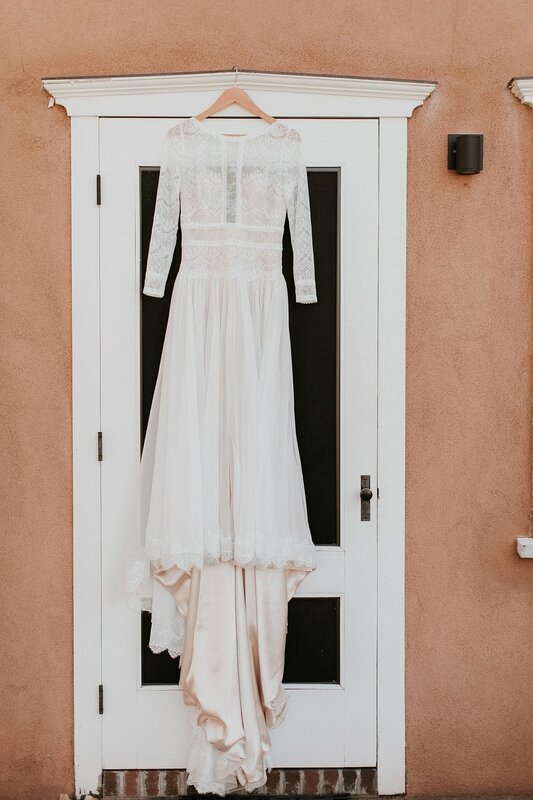 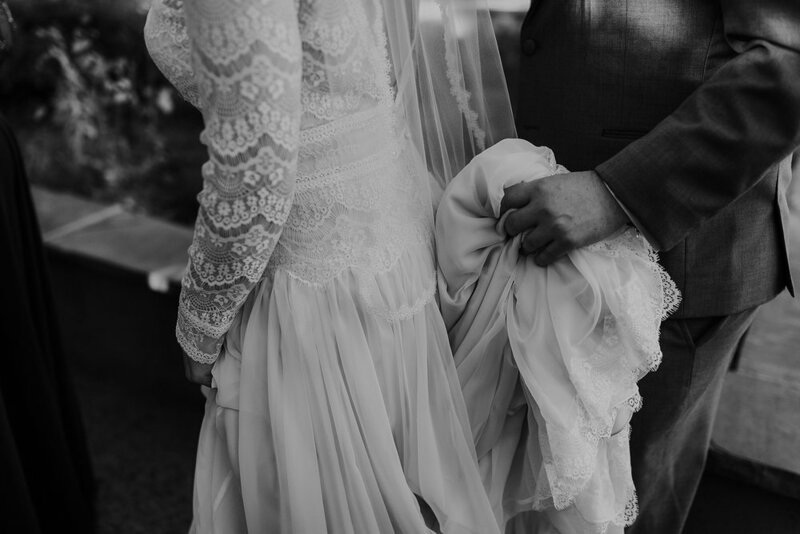 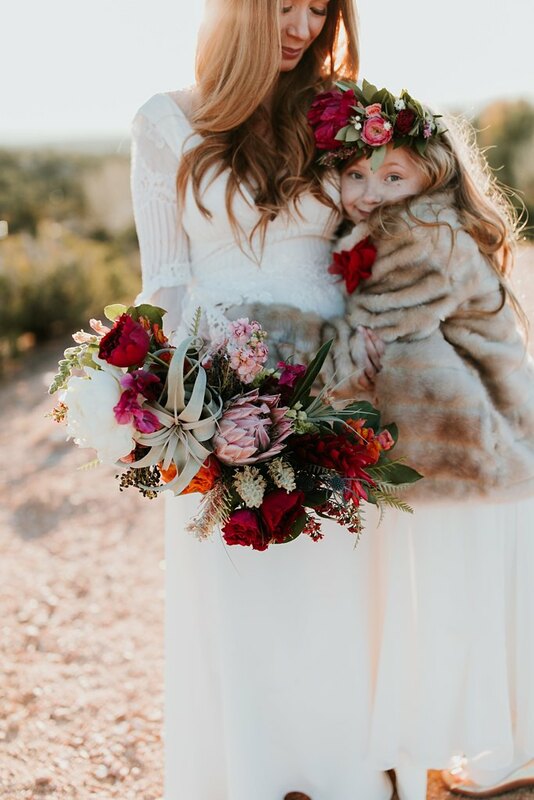 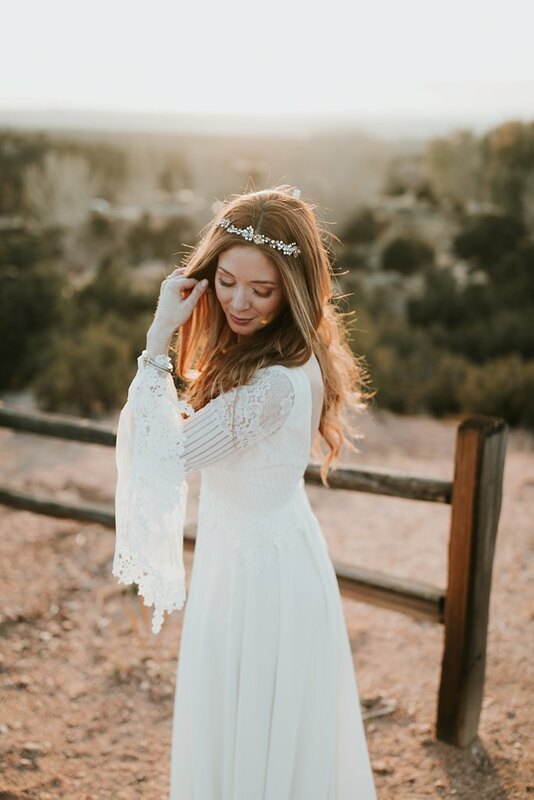 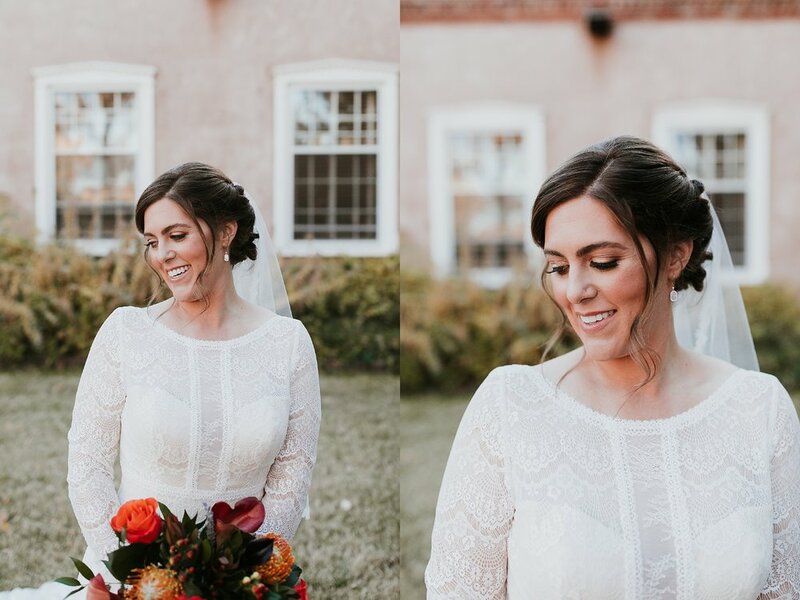 On her wedding day, Marcela took her love for the Southwest even further by donning a pair of rustic cowboy boots under her exquisite Claire Pettibone wedding gown. 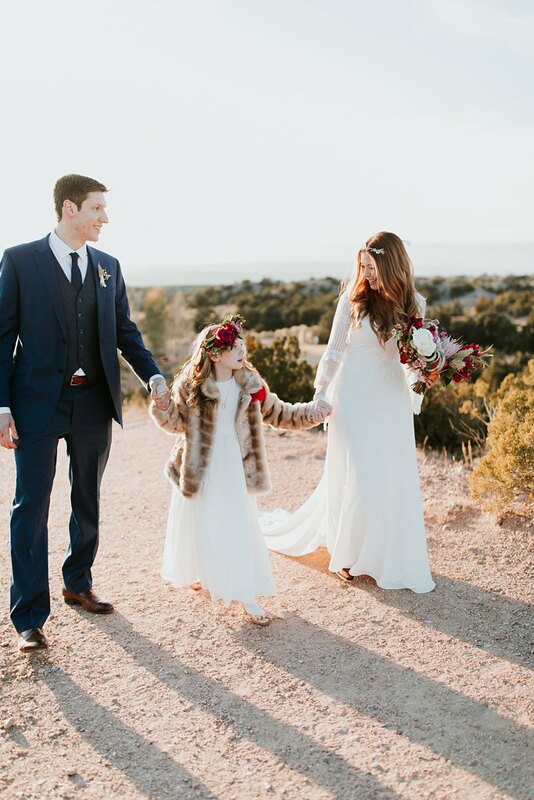 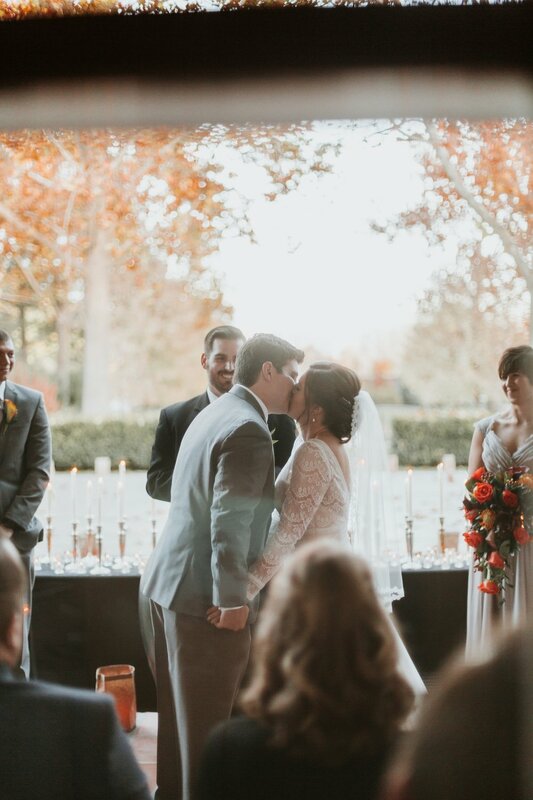 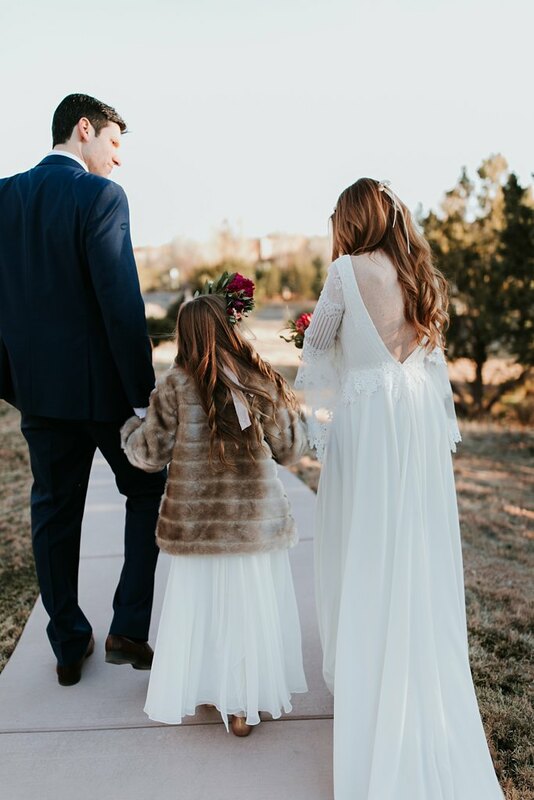 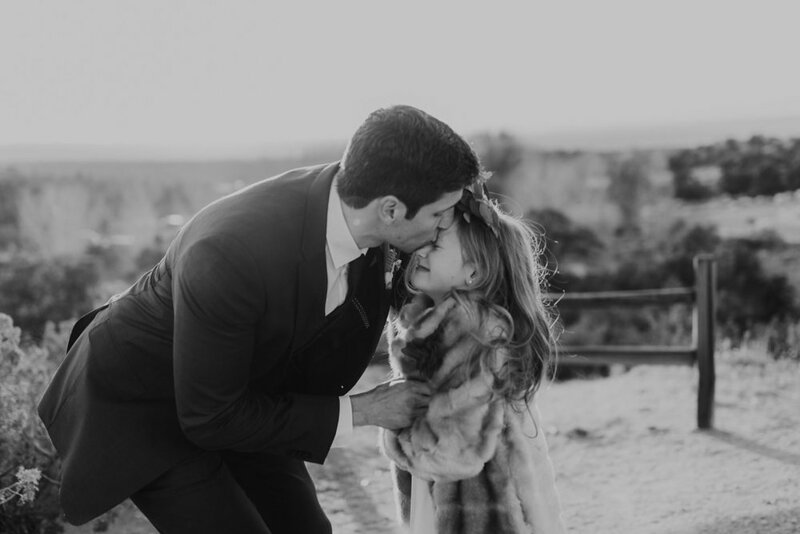 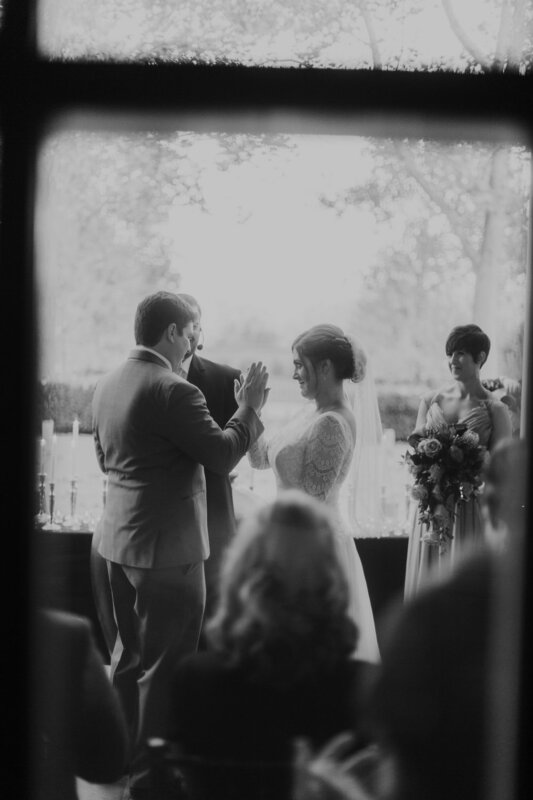 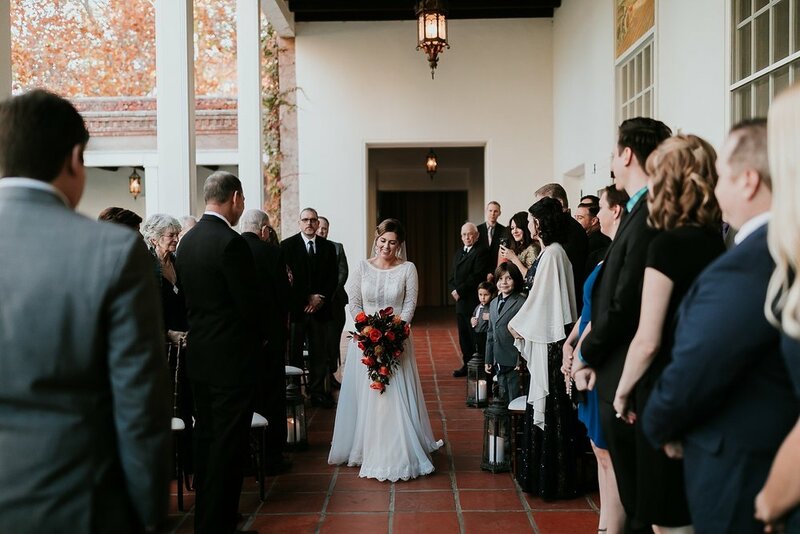 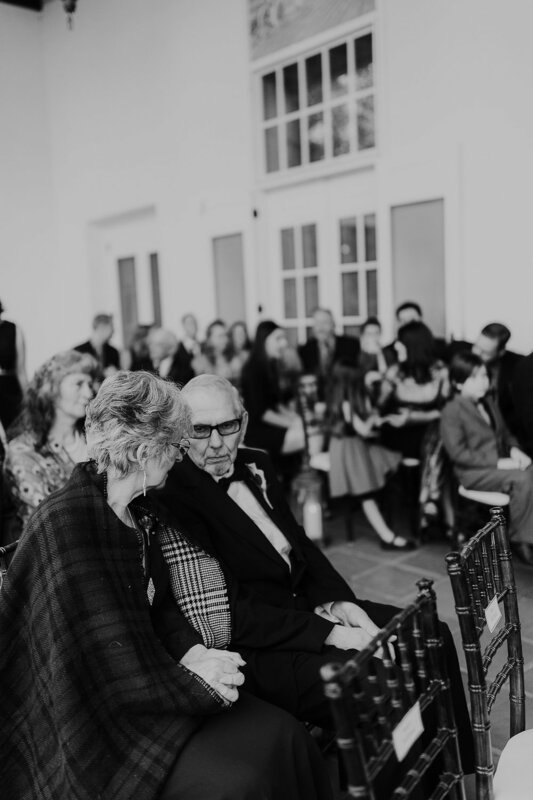 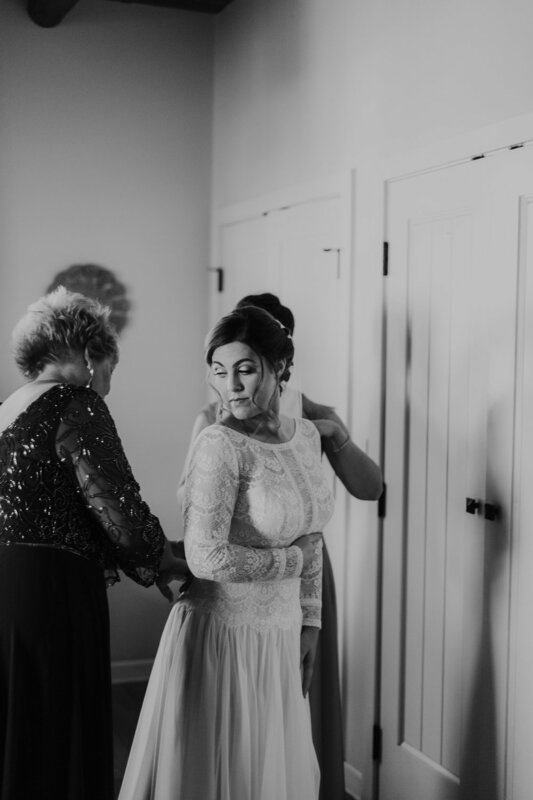 There wasn't a dry eye during this couple's incredibly moving vows and Alex even made vows to Marcela's beyond adorable daughter Izzy (who was so excited that she rushed up to the alter once the couple was pronounced husband and wife). 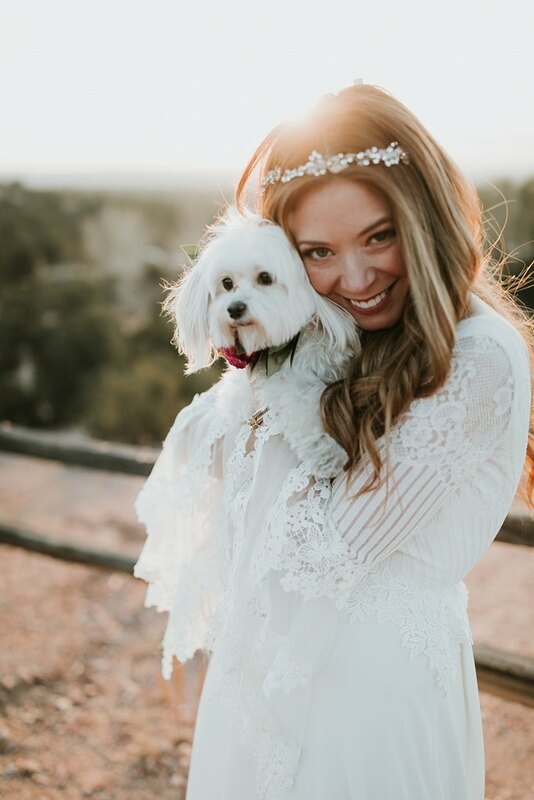 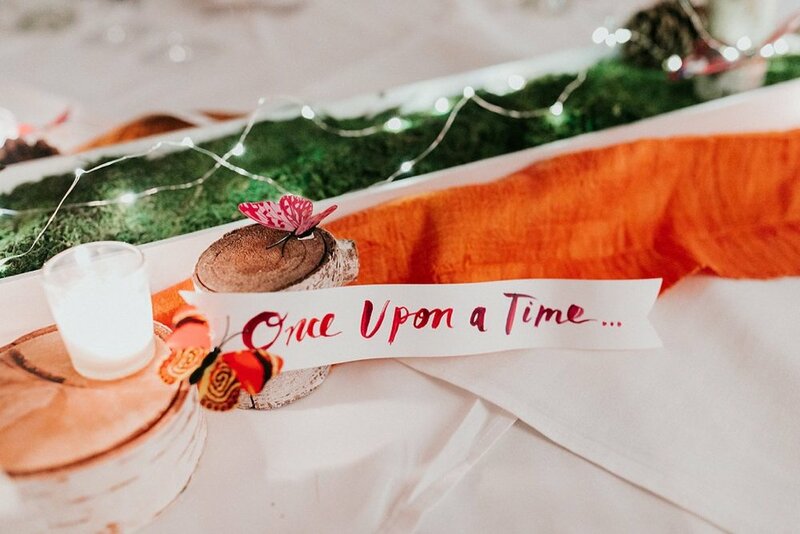 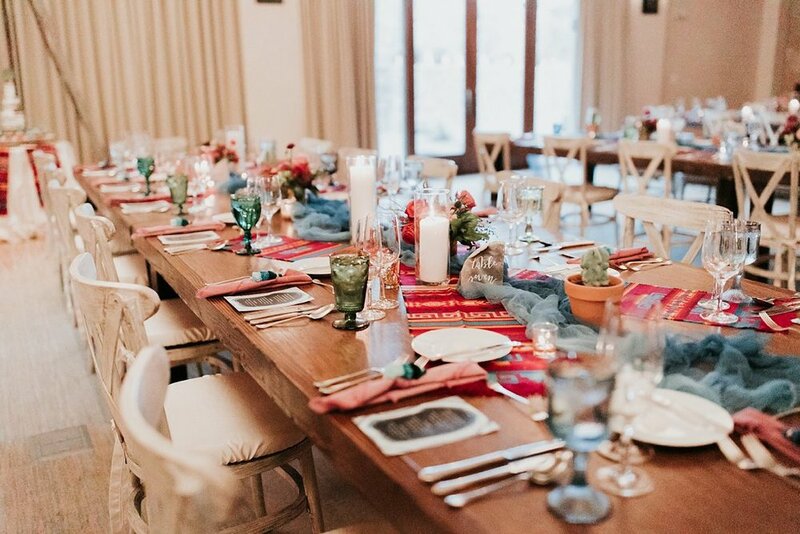 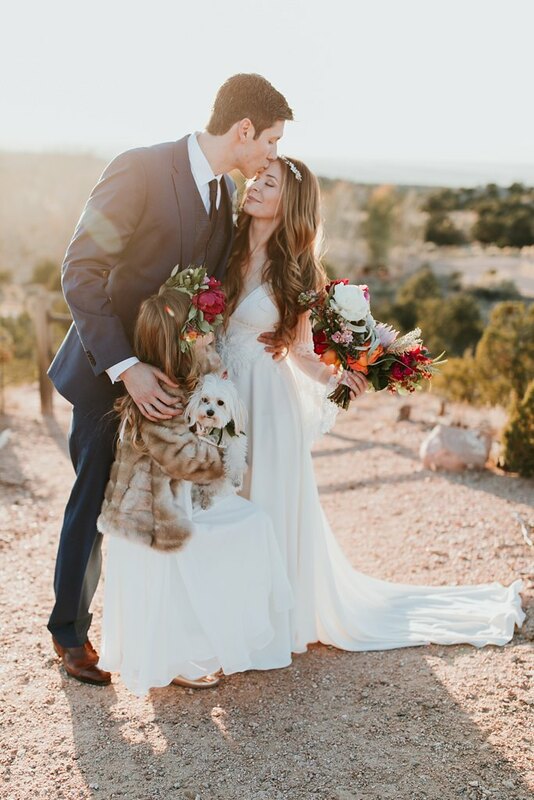 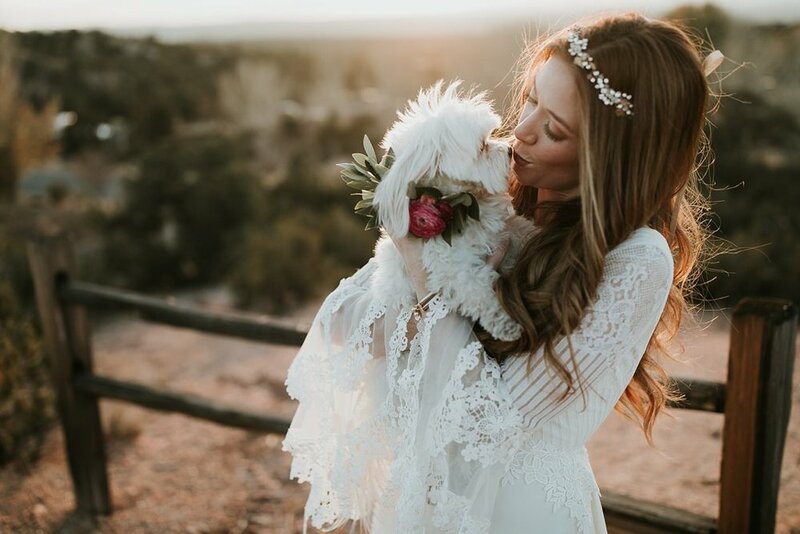 After a round of stunning golden hour photos with the newlyweds and Izzy (and their pup, Cinderella Rainbow— sweetly named by Izzy), these lovers celebrated in style, with everything from cactus cupcakes to New Mexican inspired table settings to an amazing sparkler exit. 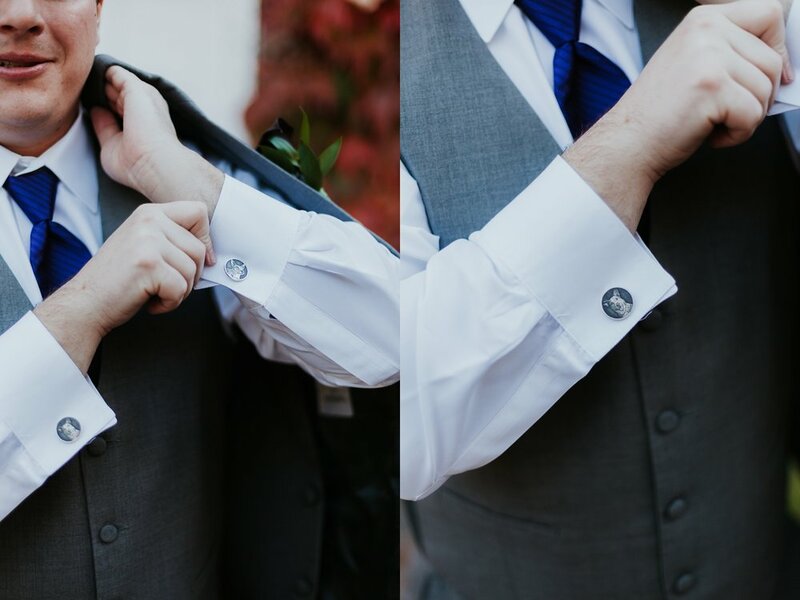 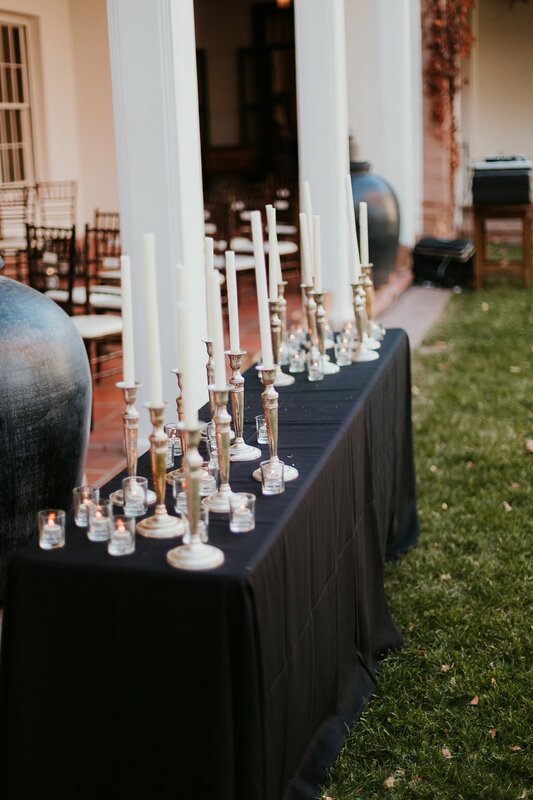 This wedding was also featured on Carats and Cakes! 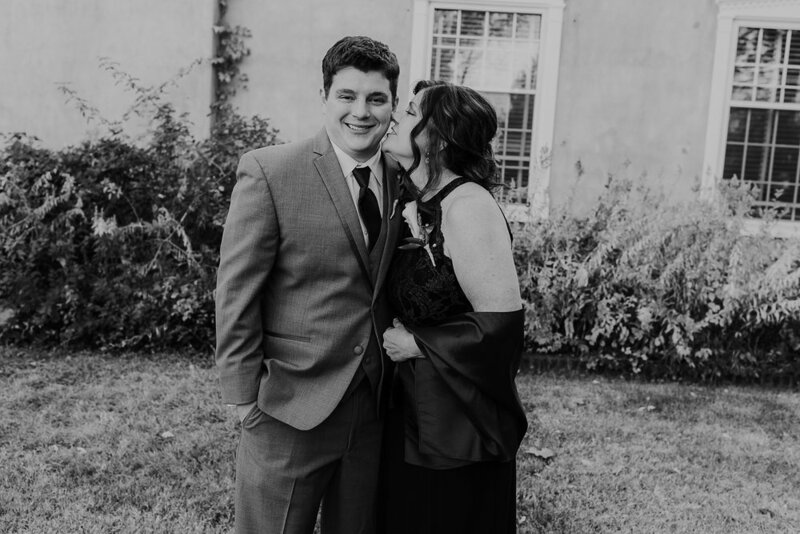 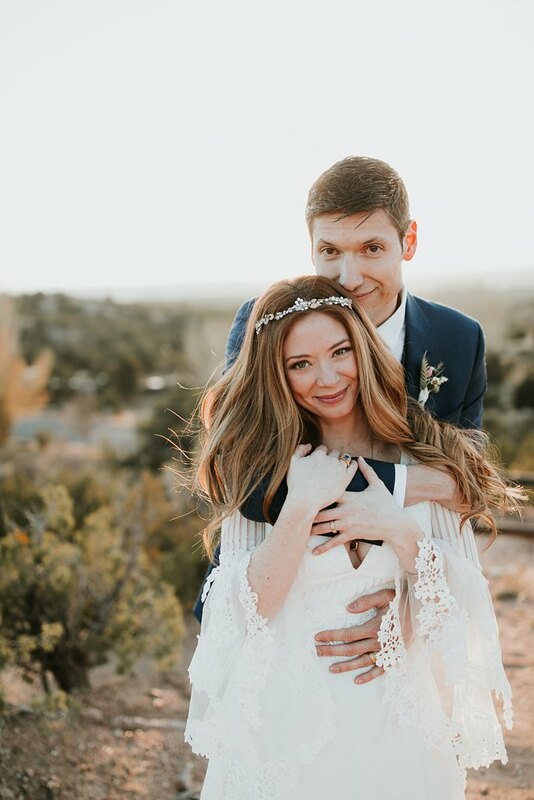 A huge congrats to these lovers on an incredible wedding weekend and on recently welcoming a new baby into their family, we are beyond thrilled for you two! 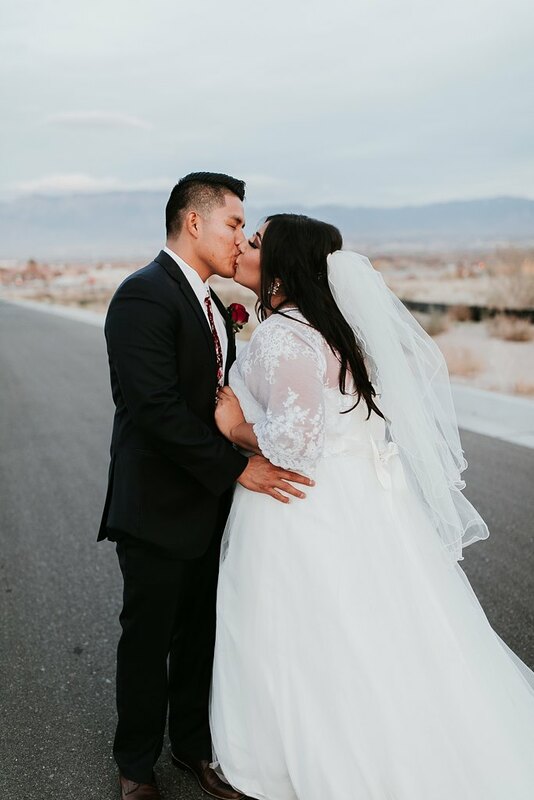 Last December we kicked off our winter wedding season with Josue and Brandy's incredible wedding at Noah's Event Venue in Albuquerque, NM. 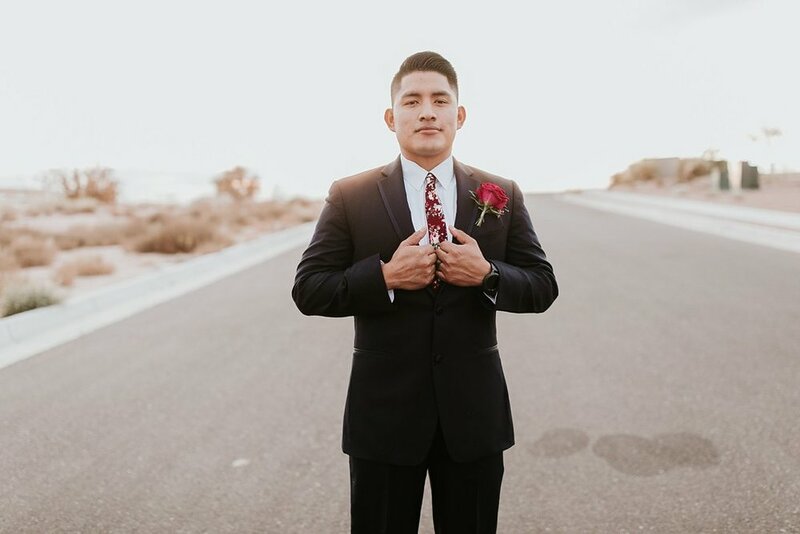 Josue searched for months for the perfect ring and way to propose to Brandy, making him the ultimate fiancé/husband goals. 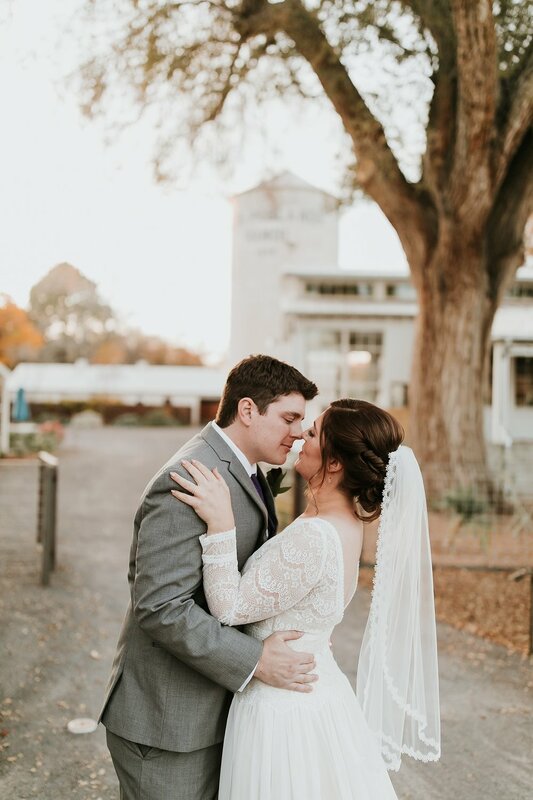 From floral ties, to golden hour smoke bombs to a yummy donut wall, this couple thought of all the incredible details for their day! 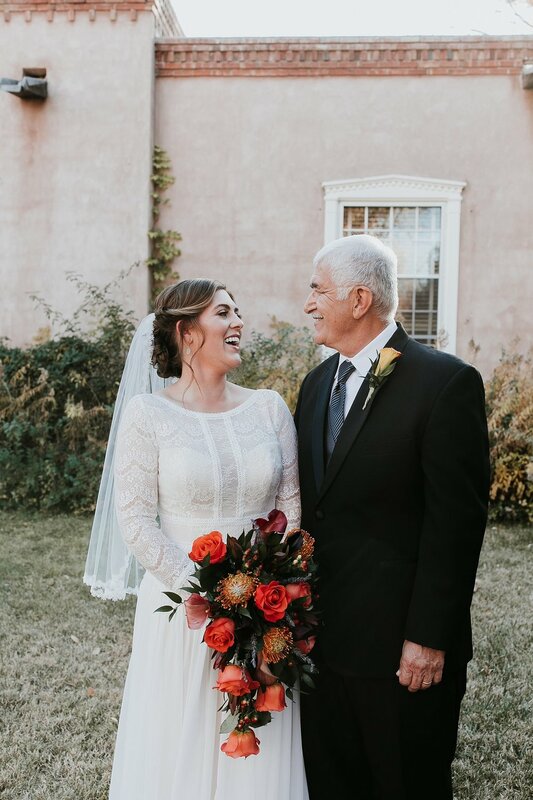 Cheers to the Garcias, we love you two so, so much!! 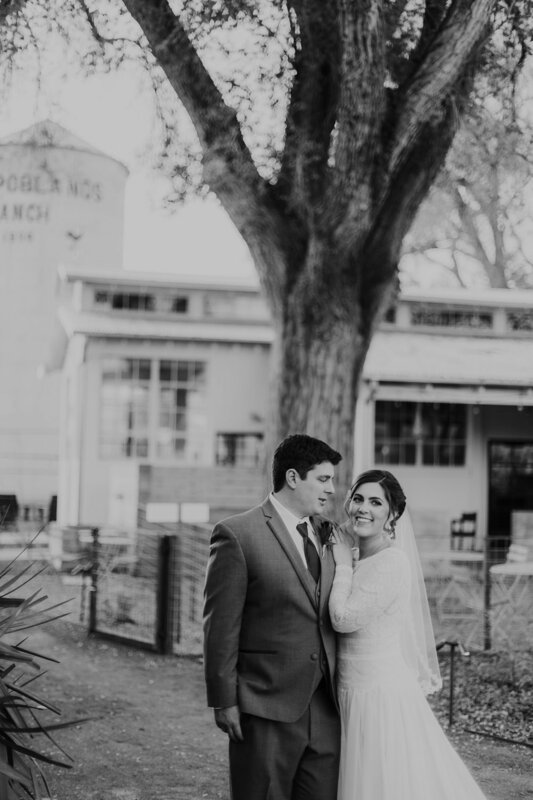 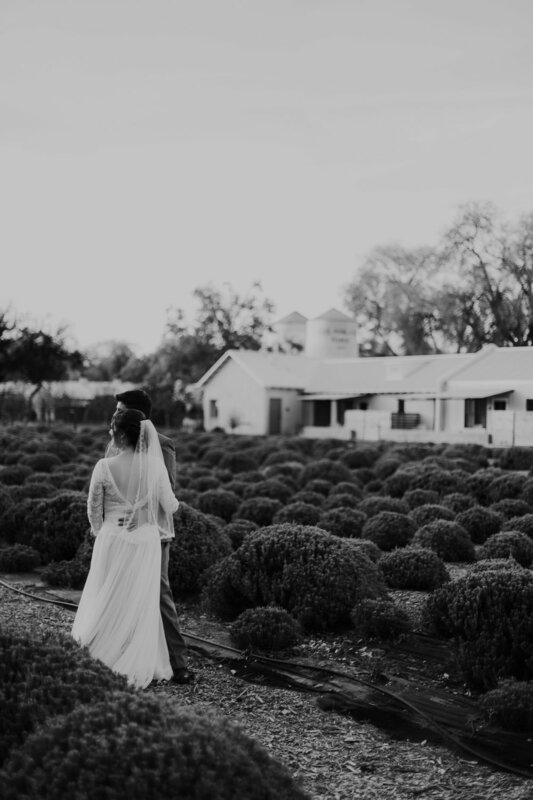 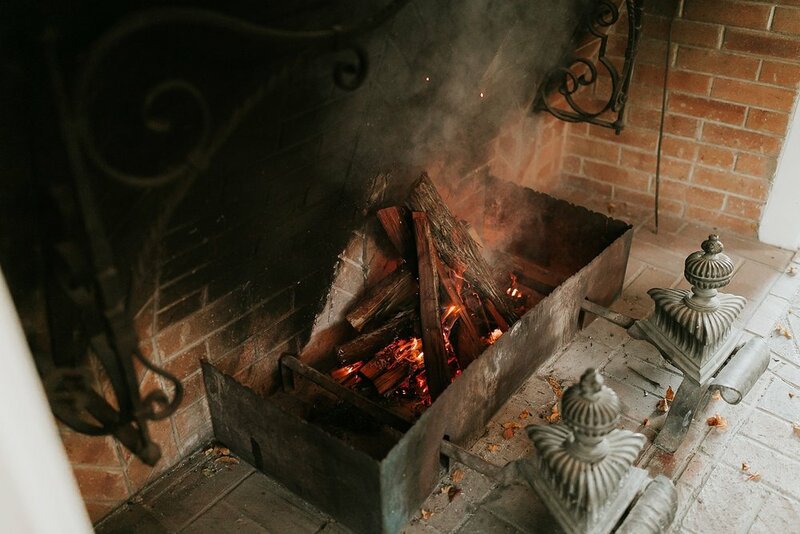 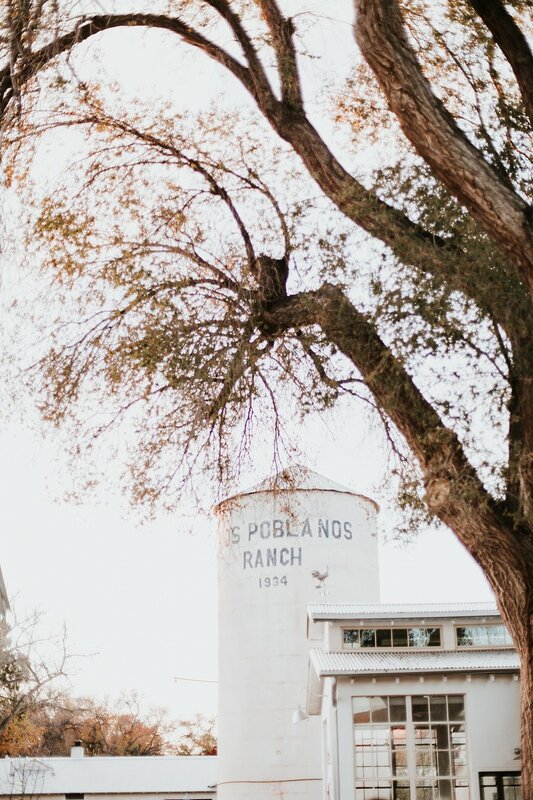 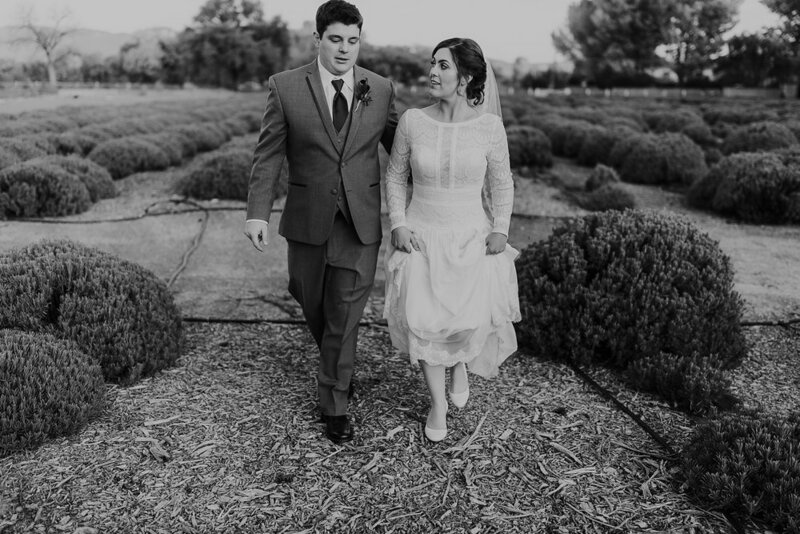 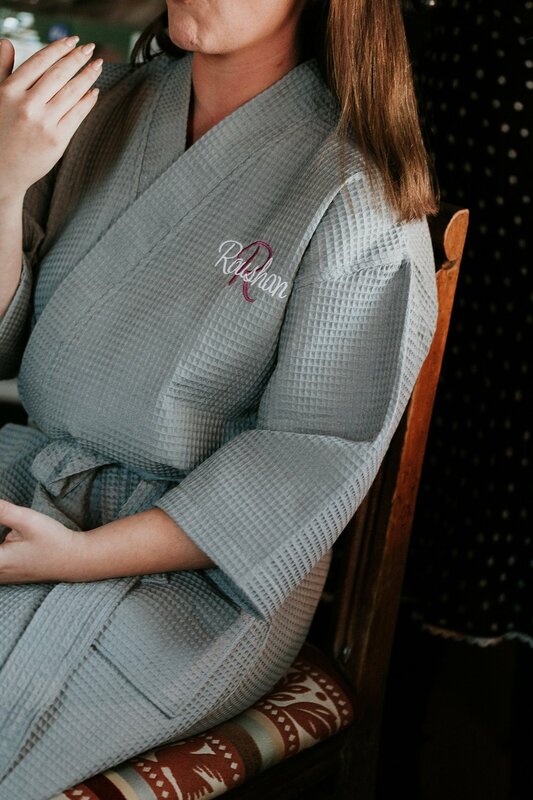 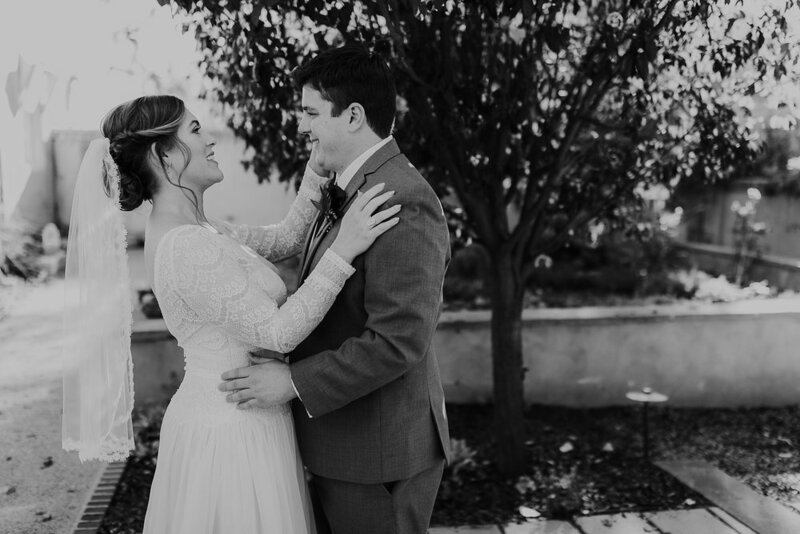 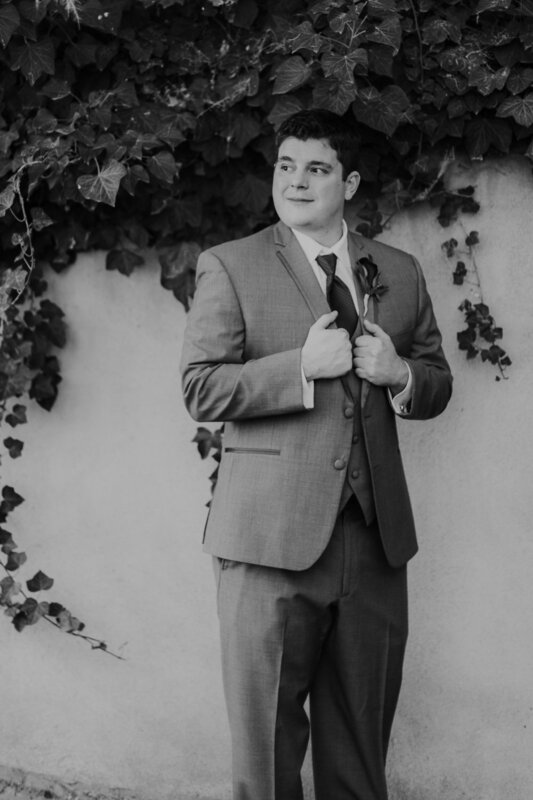 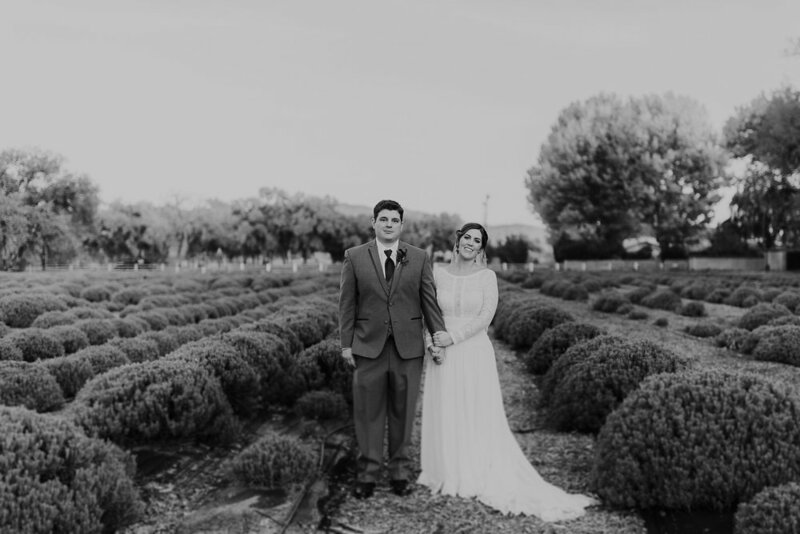 Last fall we were lucky enough to capture Josh + Roushan's stunningly unique wedding at Los Poblanos Historic Inn and Organic Farm. 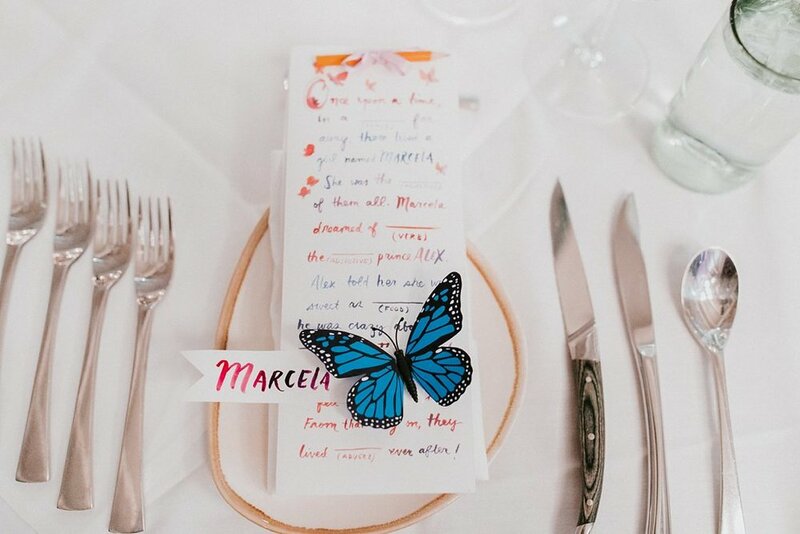 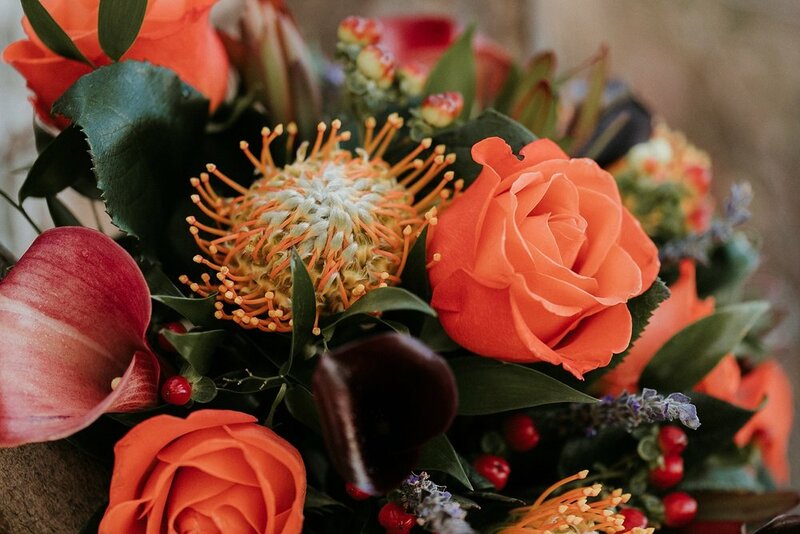 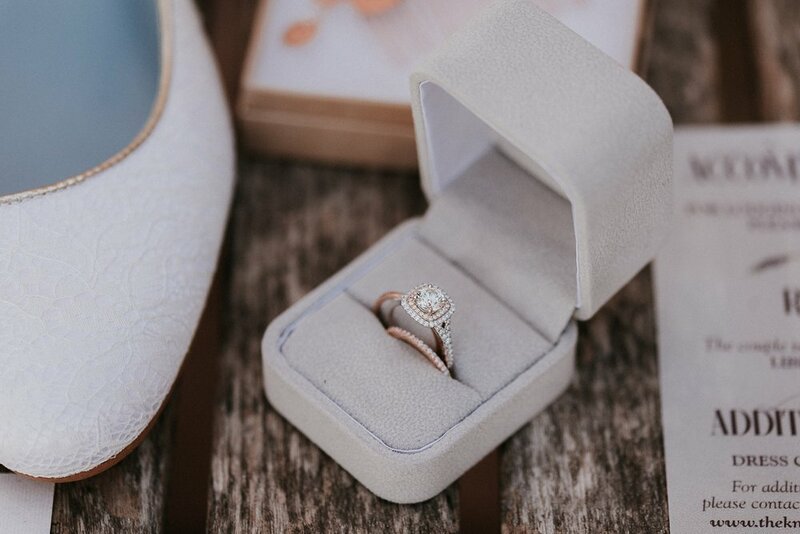 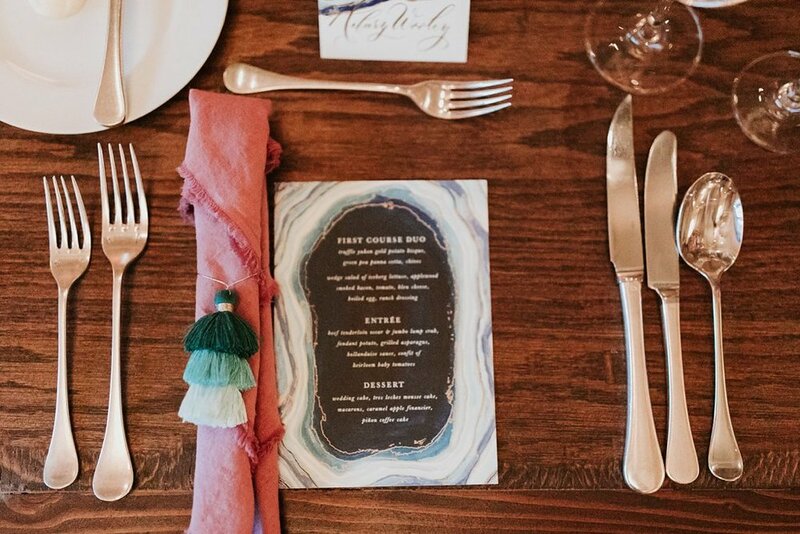 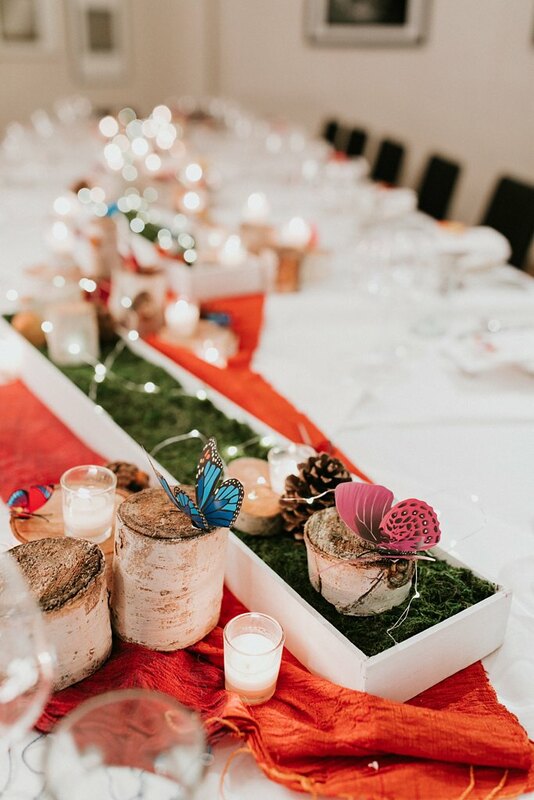 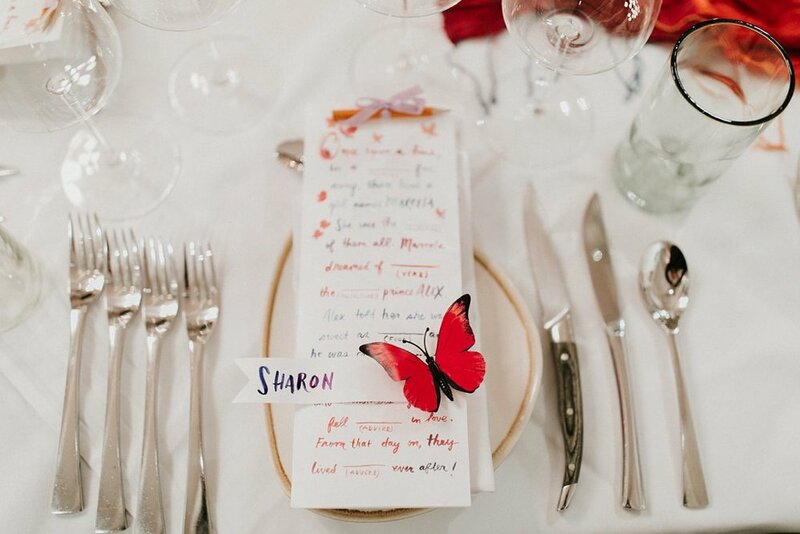 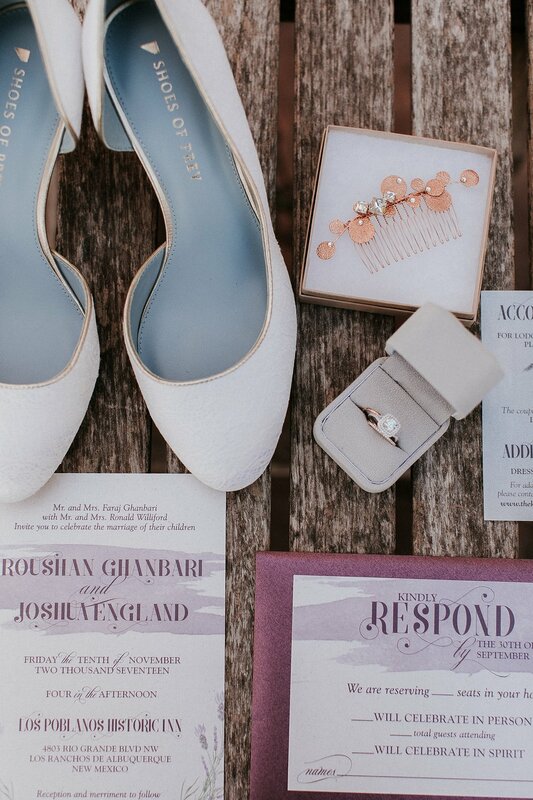 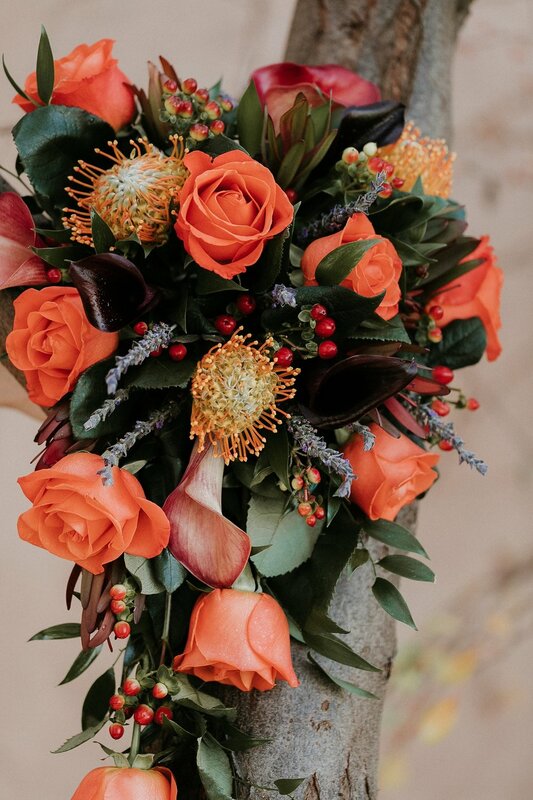 The pair, who had been together for about 4 years before getting engaged, celebrated with a simple and elegant ceremony adorned with bold colors and amazing little details. 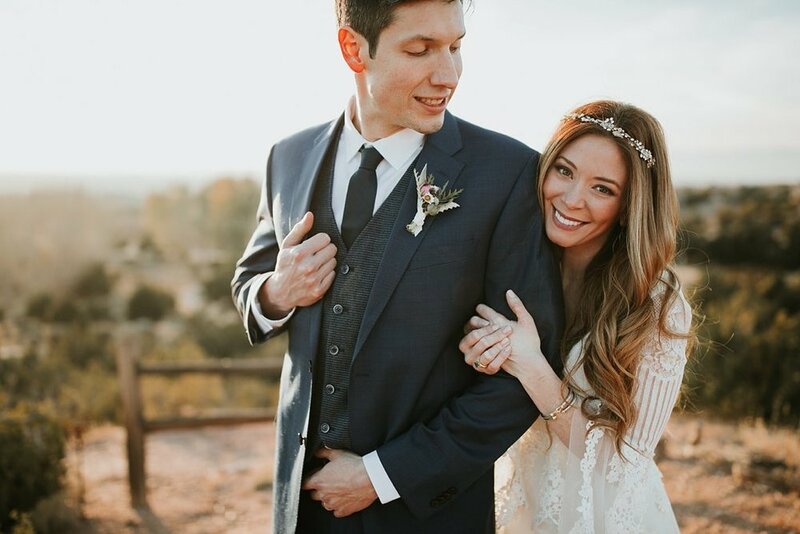 In addition to being an absolutely stunning bride, Roushan even sang and recored the couple's first dance song as a surprise for her new husband! 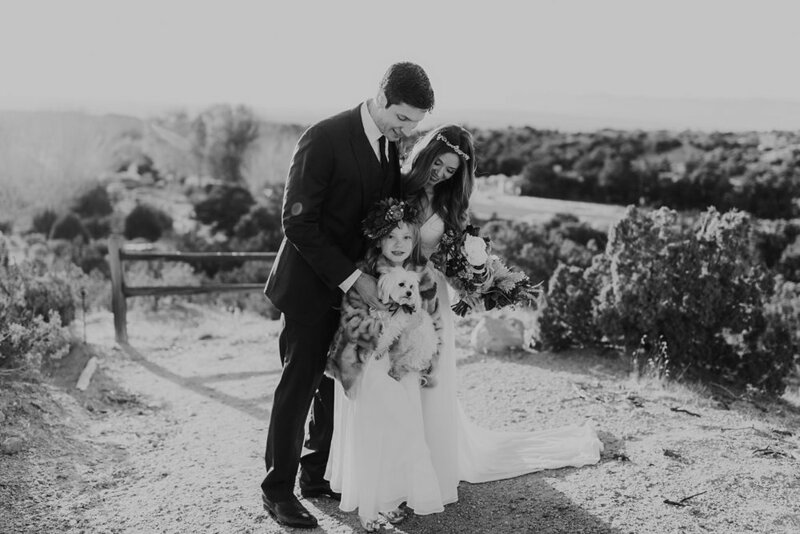 Congrats you two, hope you're enjoying married life with your fur babies!!! 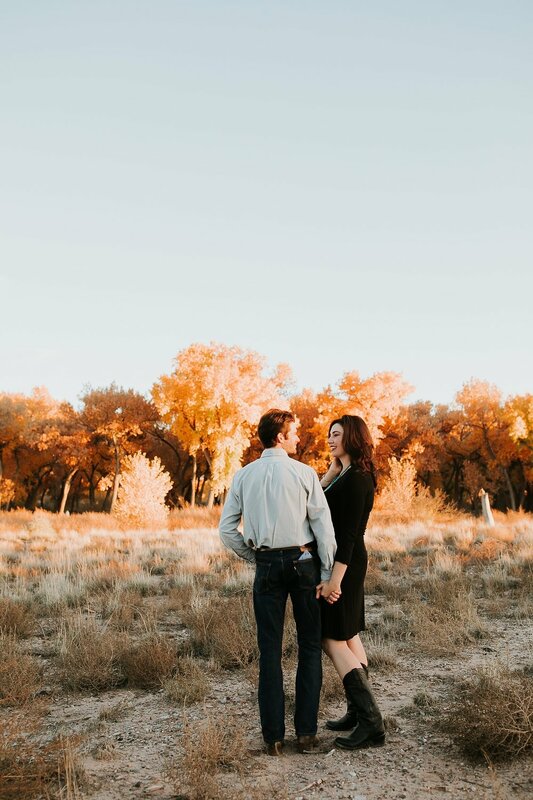 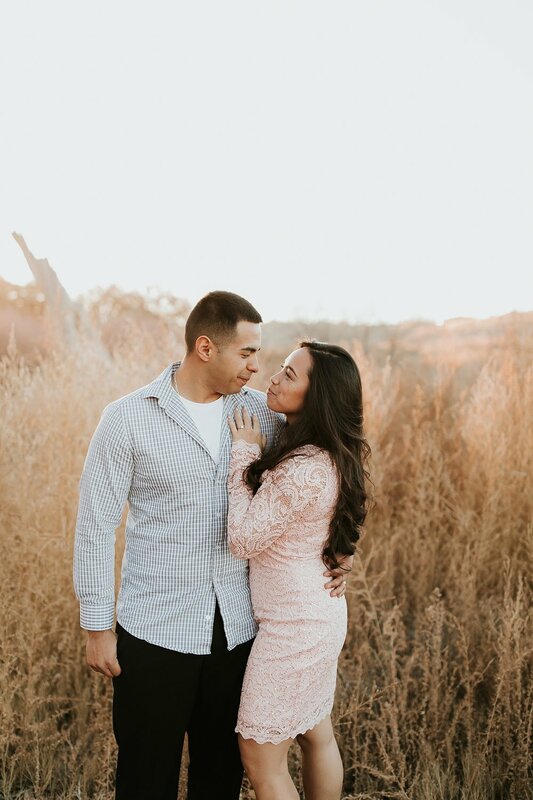 Walter and Charmayne gave us all of the fall vibes with their sun-drenched, golden hour engagement session. 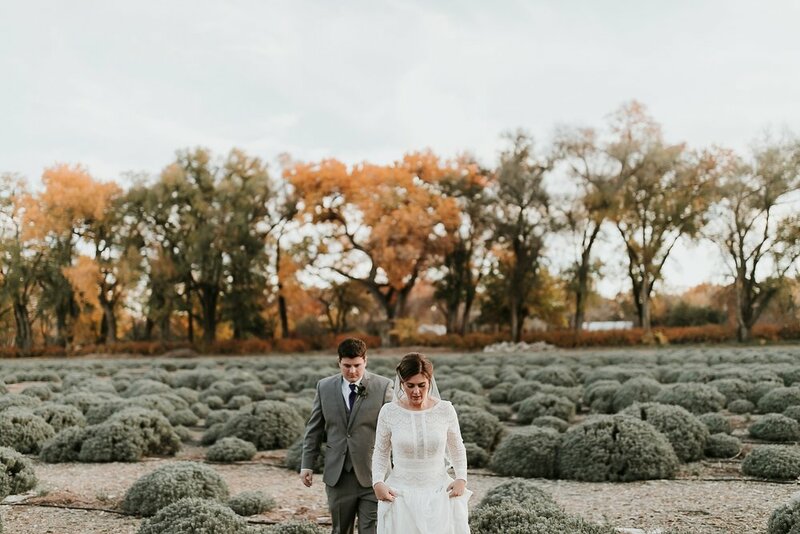 And being total suckers for turquoise jewelry and ornate belt buckles, we couldn't help but fall in love with their subtle, yet charming Southwestern style details. 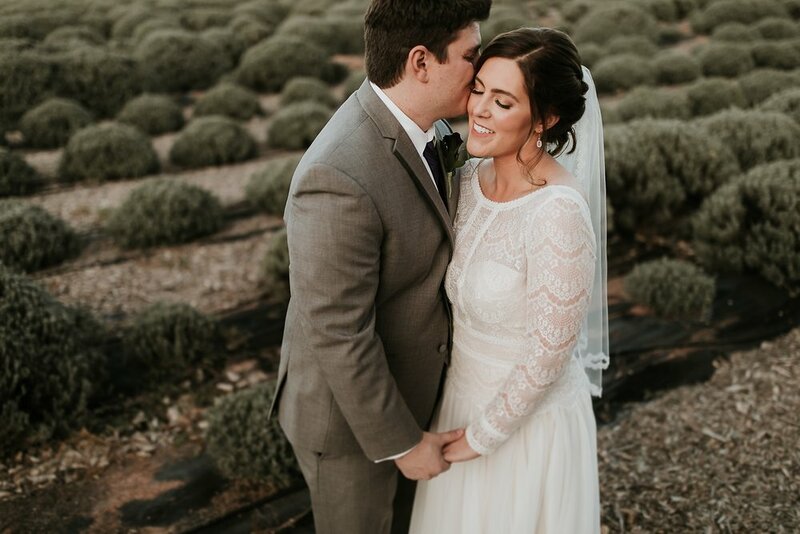 Cheers to this wonderful couple (who just recently tied the knot — congrats you two)!!! 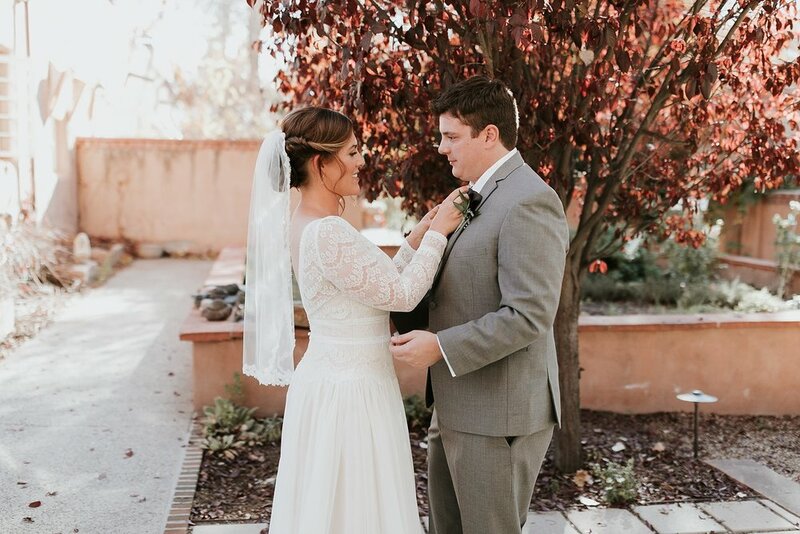 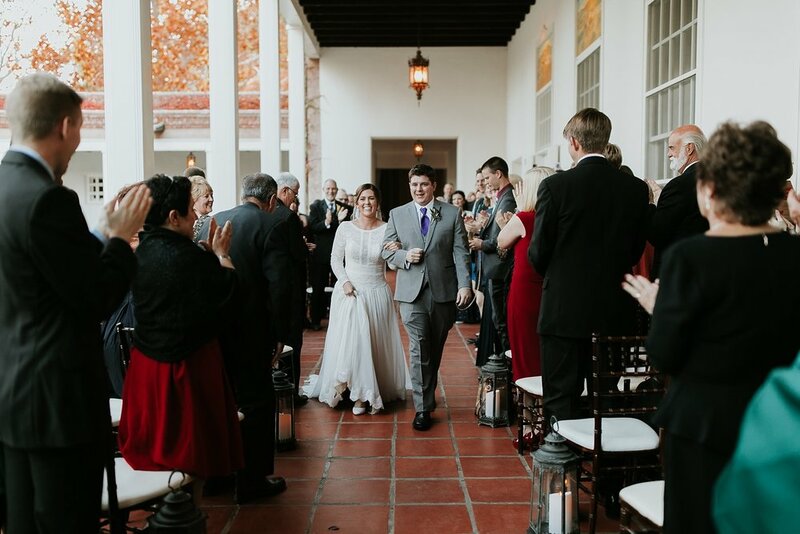 On a fairytale October day, Duncan and Tatianna officially tied the knot at one of our treasured Santa Fe venues, La Fonda on the Plaza. 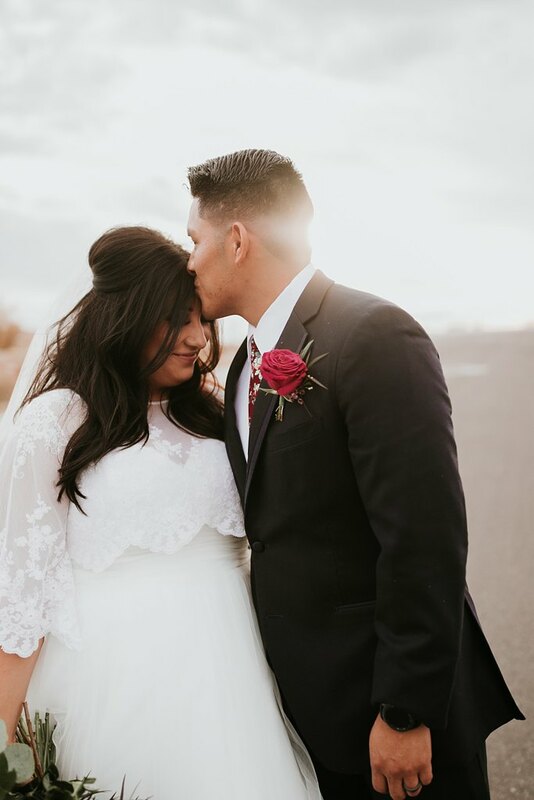 It was love at first sight for this sweet couple who met in London and eloped just 10 months later! 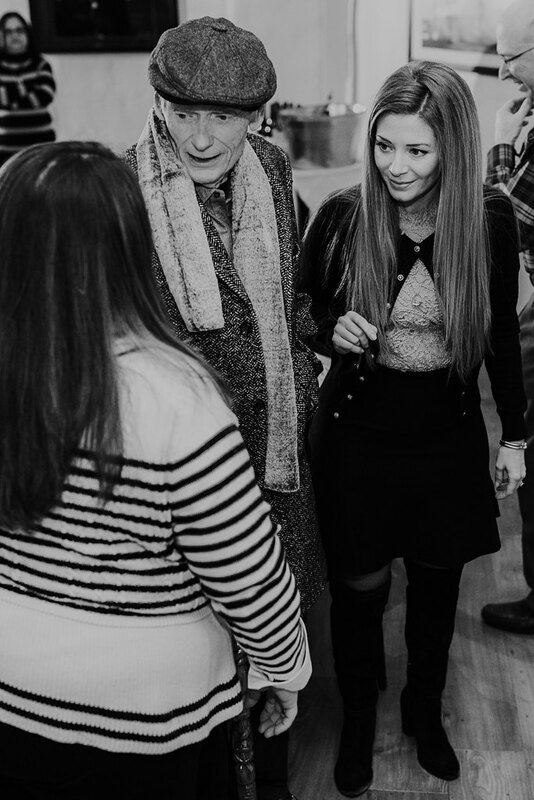 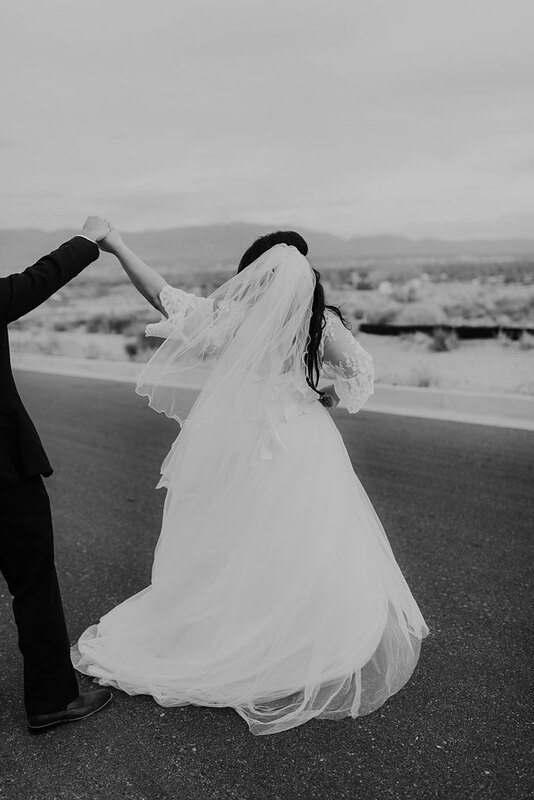 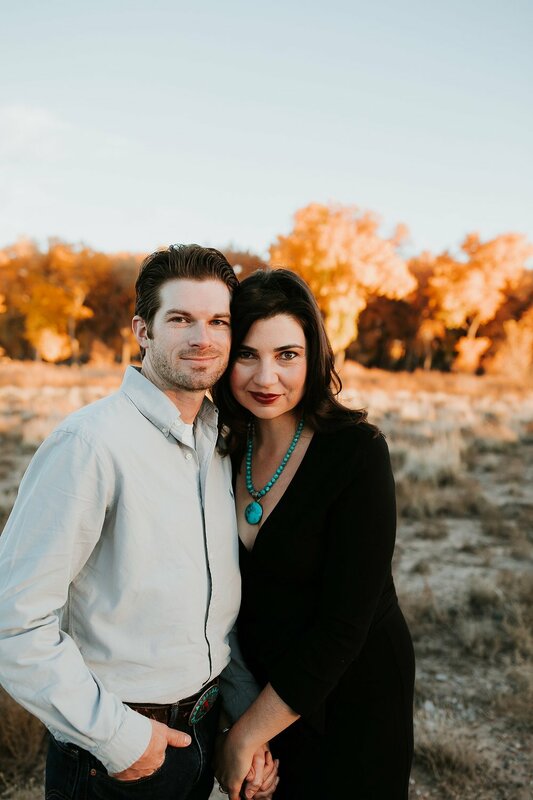 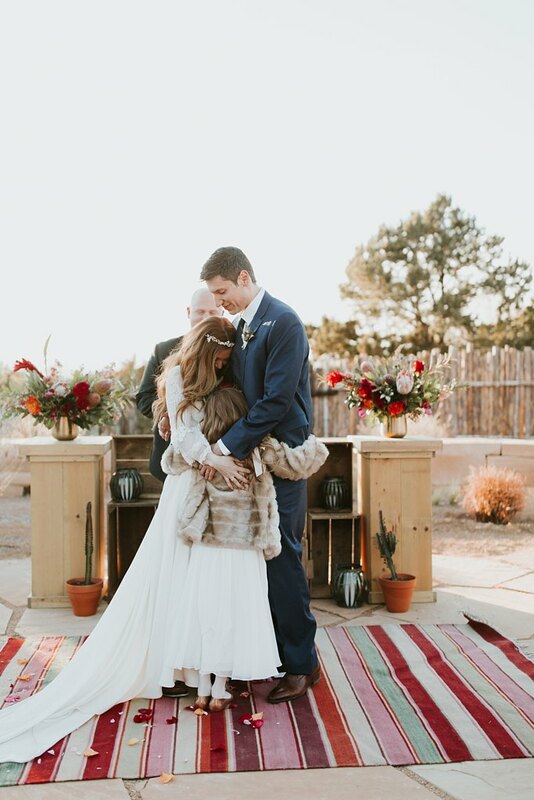 They decided to celebrate in a big way with an incredible party for all of their loved ones in the bride's home state of New Mexico (officially giving Prince Harry and Meghan Markle competition for the most amazing American /English wedding). 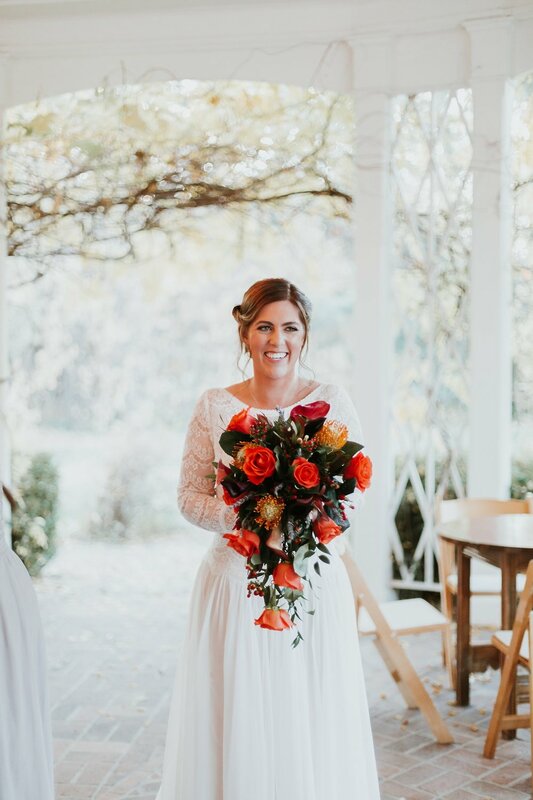 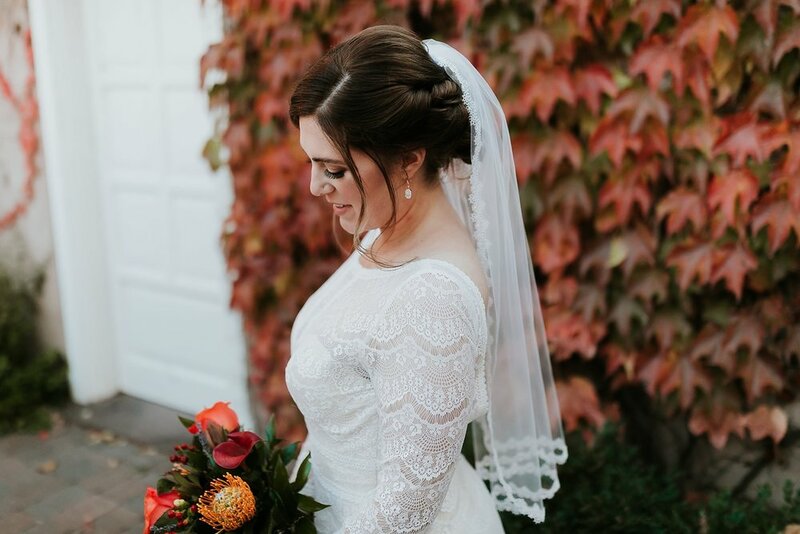 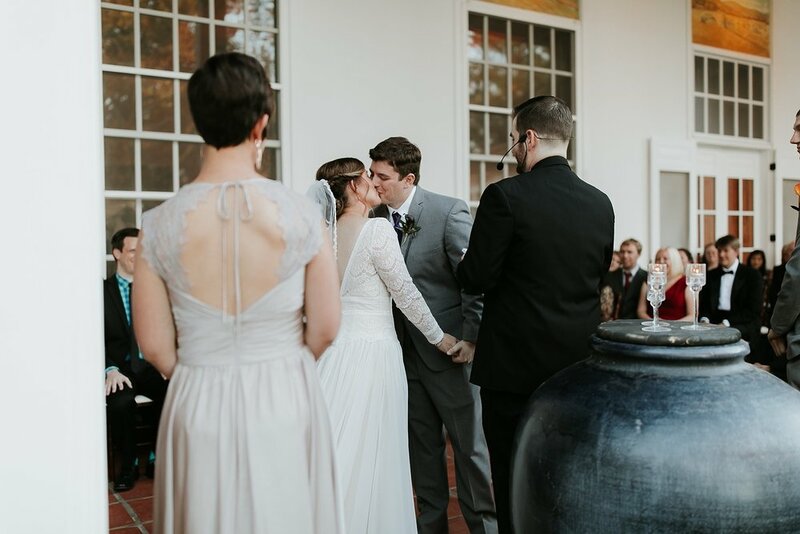 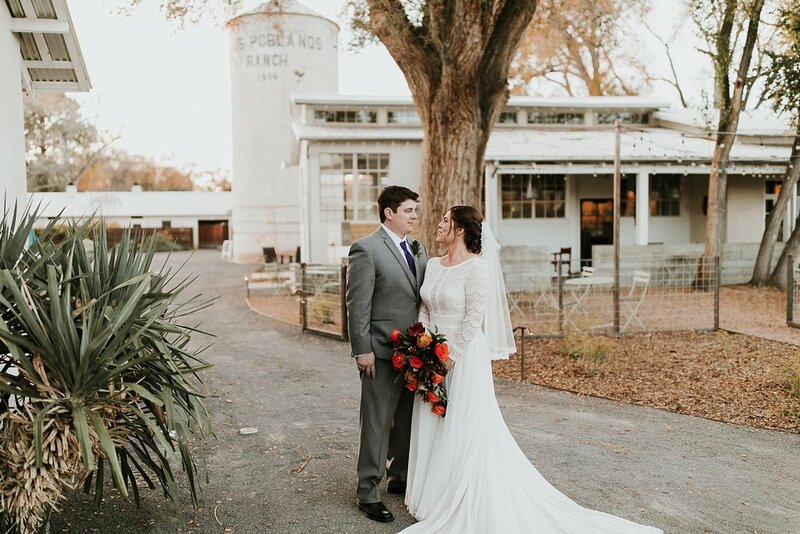 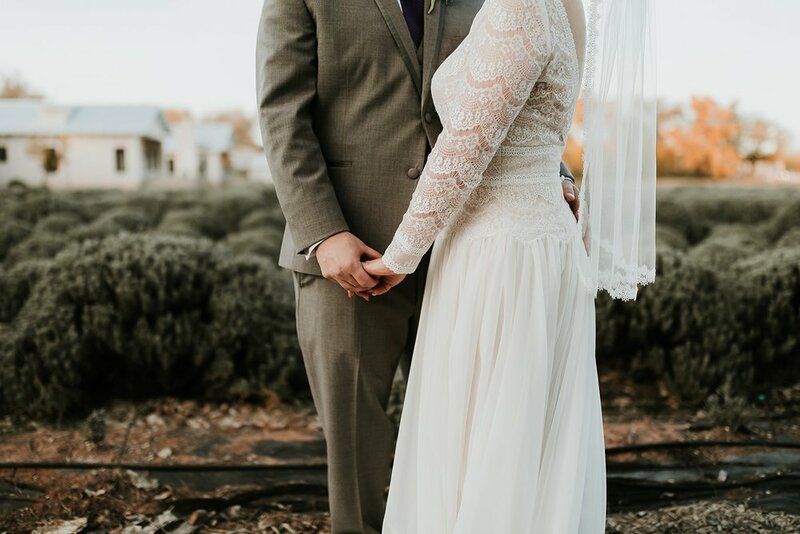 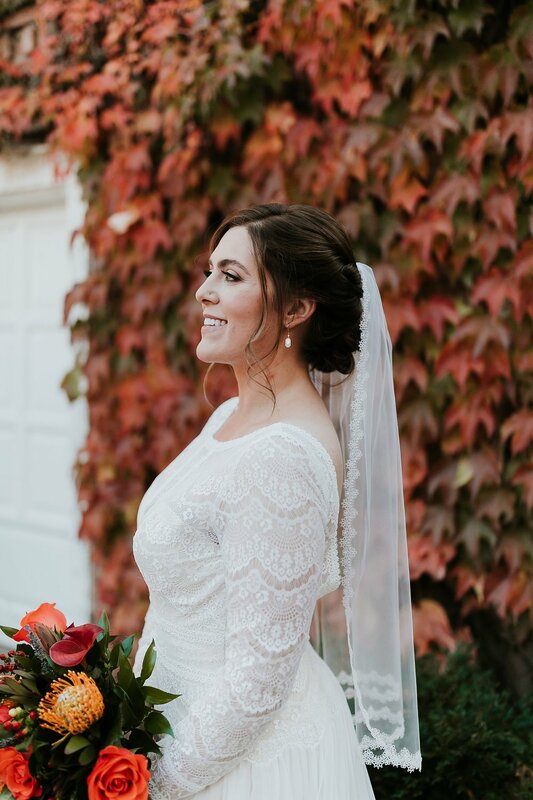 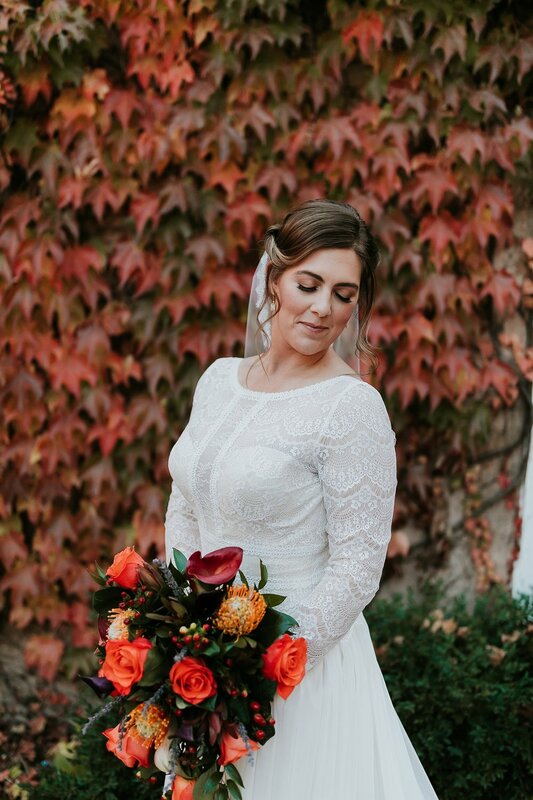 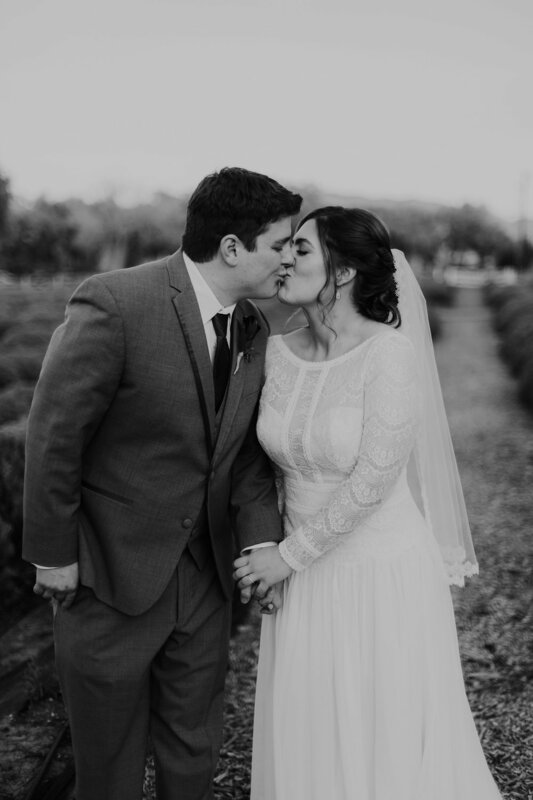 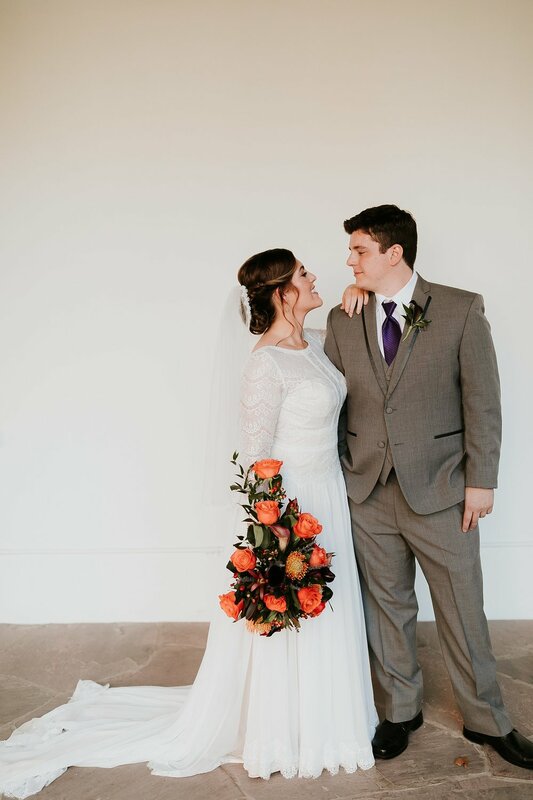 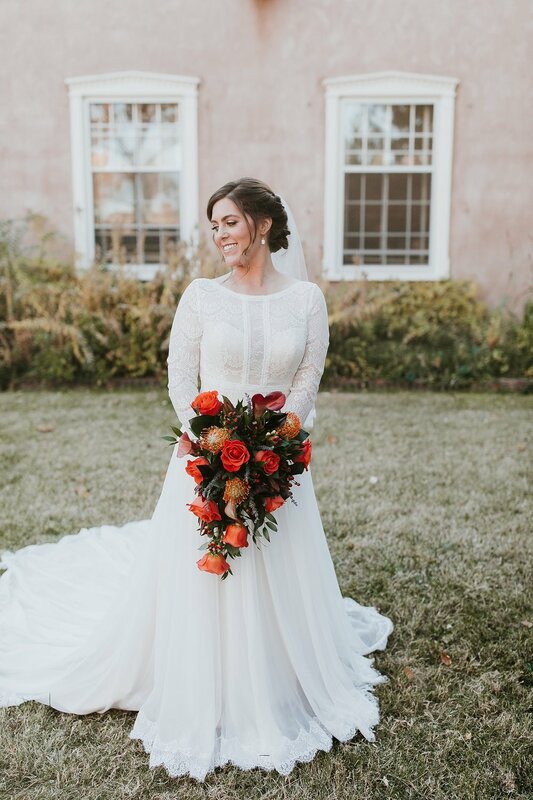 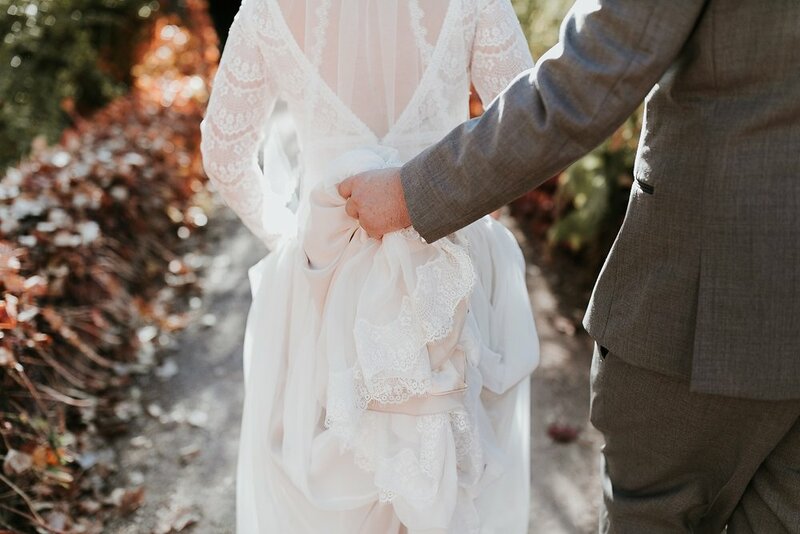 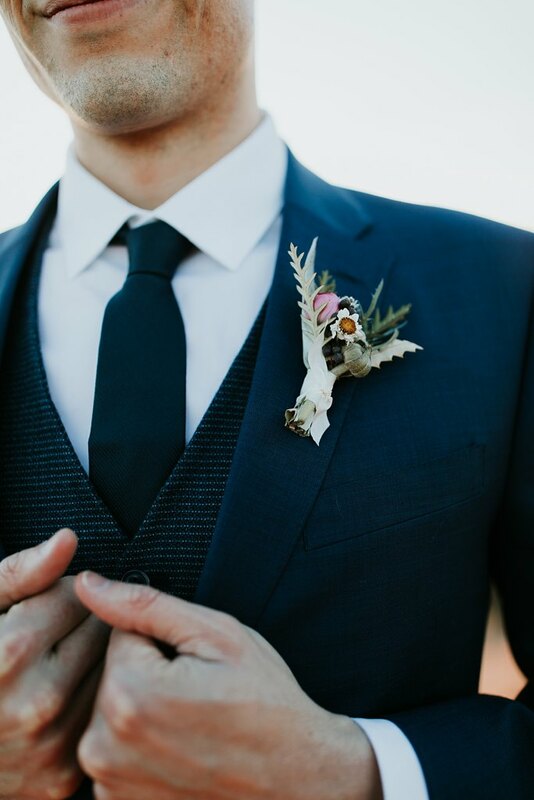 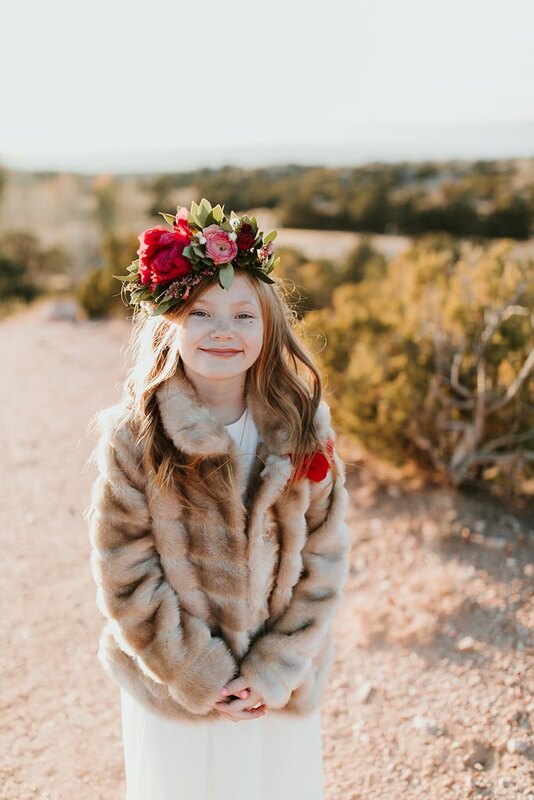 Moody fall florals, a stunning sheath dress, and incredible American Flag/Union Jack cookies made this day one for the books, and one that we'll hold close to our heart. 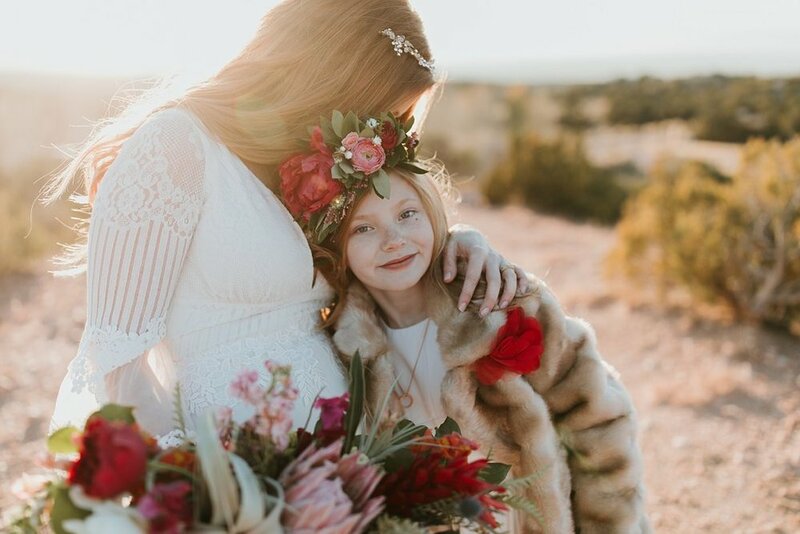 Family and friends from both, all over the United States and England not only experienced the eclectic city of Santa Fe, but they were also treated to the Albuquerque International Ballon Fiesta and a first hand taste of some true New Mexican cuisine. 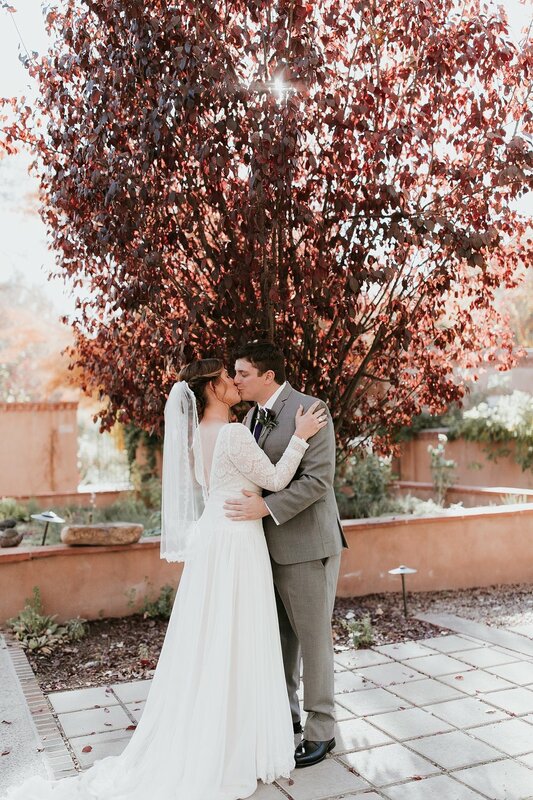 In the summer of 2018, we were over the moon when one of Tatianna and Duncan's stunning romantic photos, taken in a little hidden Santa Fe alleyway, was selected as the New Mexico Cover of Rocky Mountain Bride! 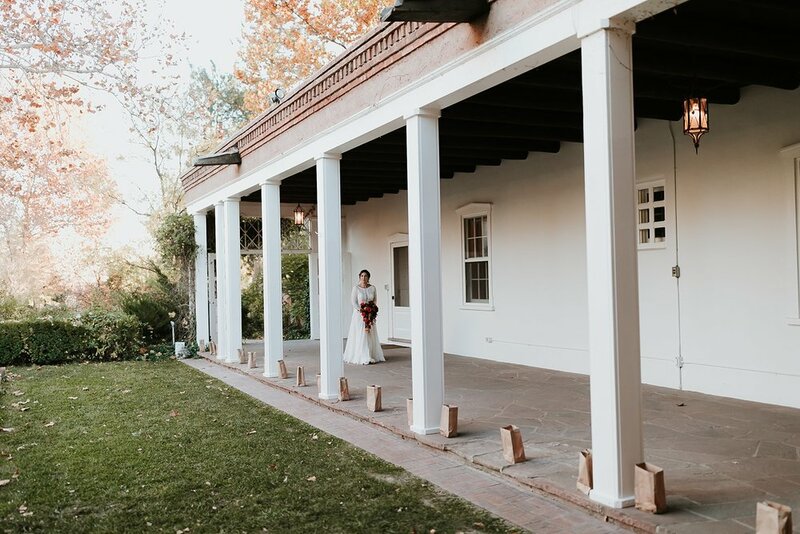 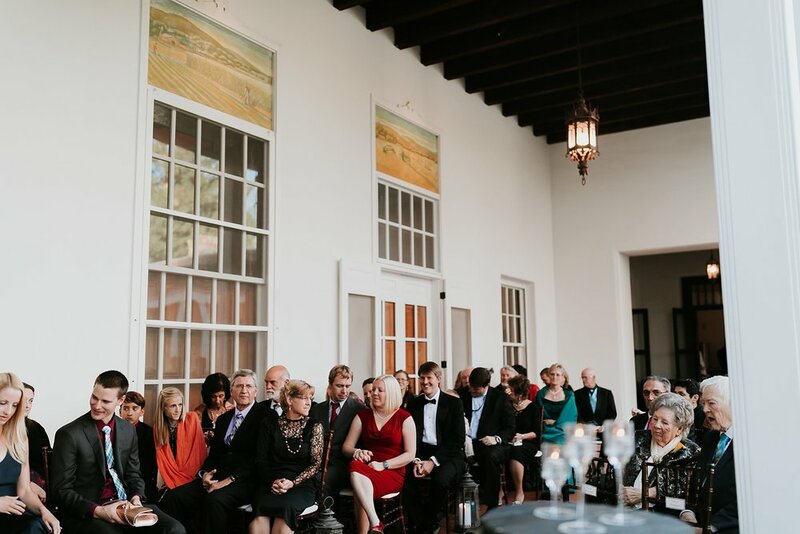 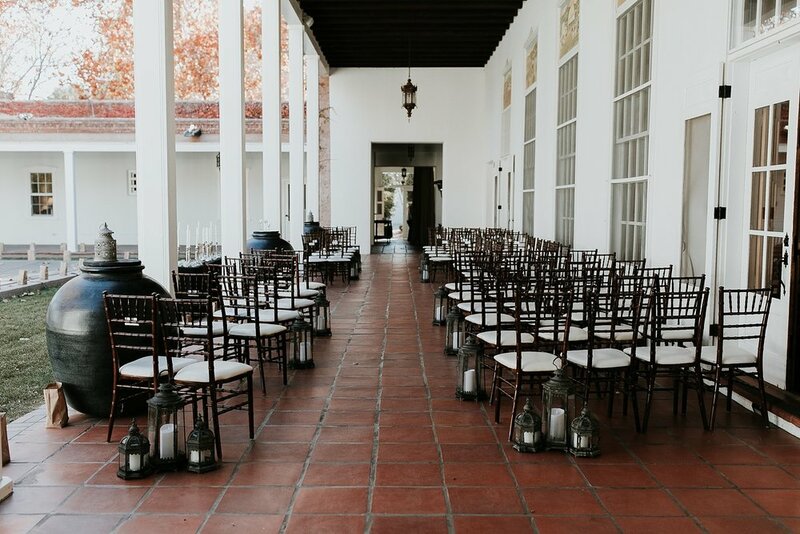 This wedding was also featured by RMB earlier this year as a "Classic Santa Fe Wedding at La Fonda". 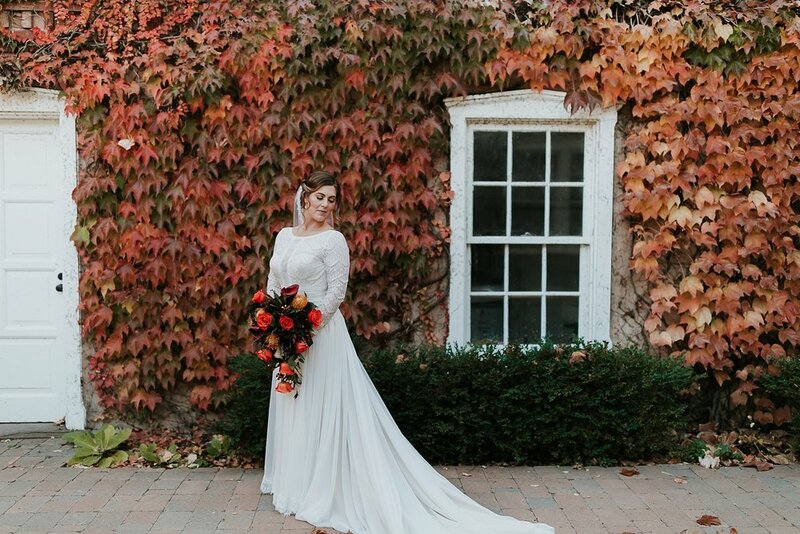 A huge congrats to these stunners, thank you for letting us be a part of your world for one magical fall day!